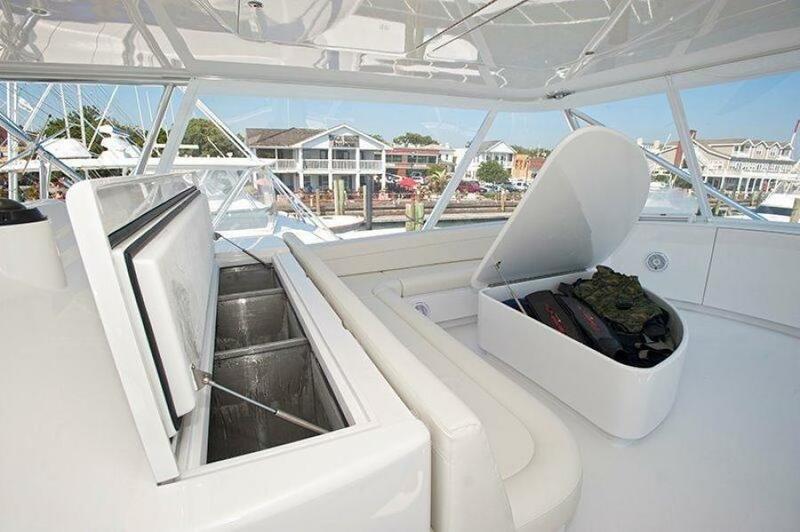 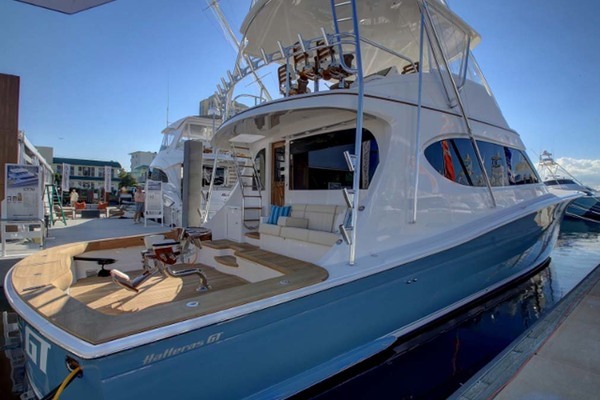 United Yacht Sales New Jersey would love to guide you through a personal showing of this 84' Jarrett Bay Custom Carolina Convertible 2019. 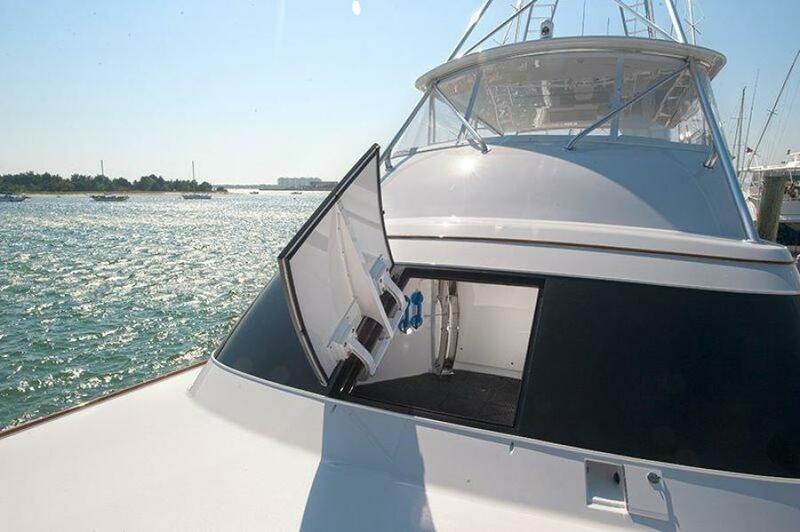 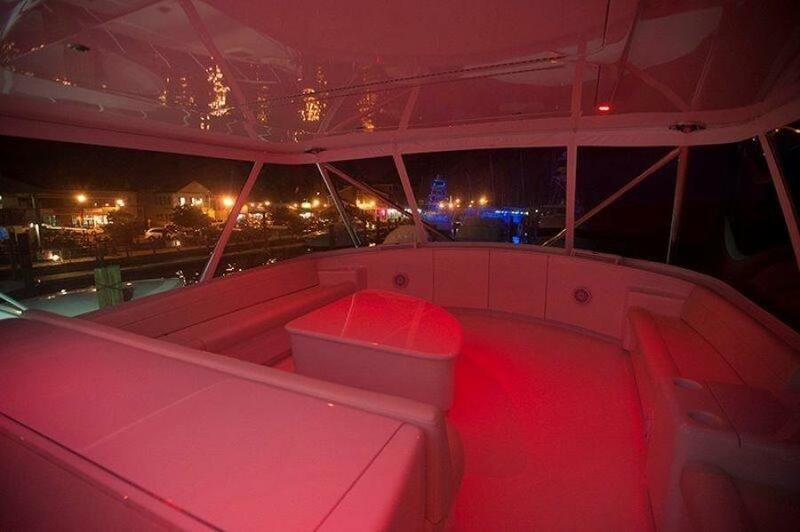 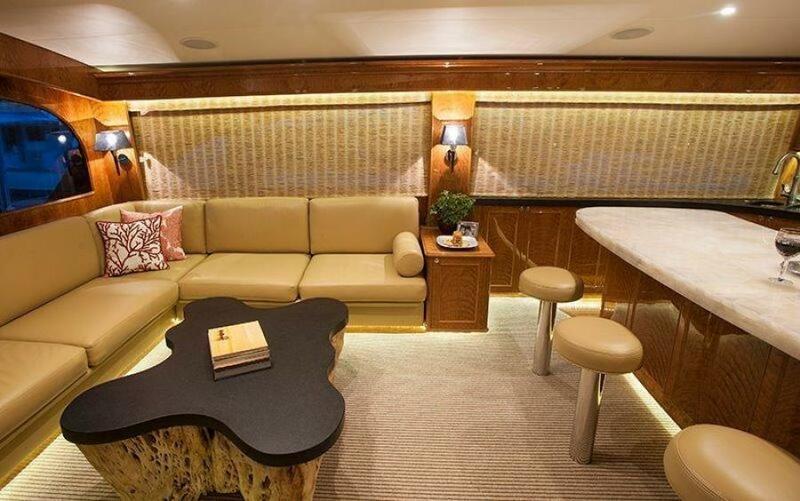 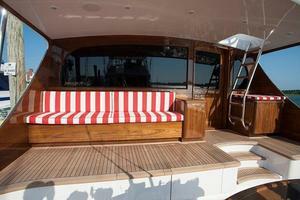 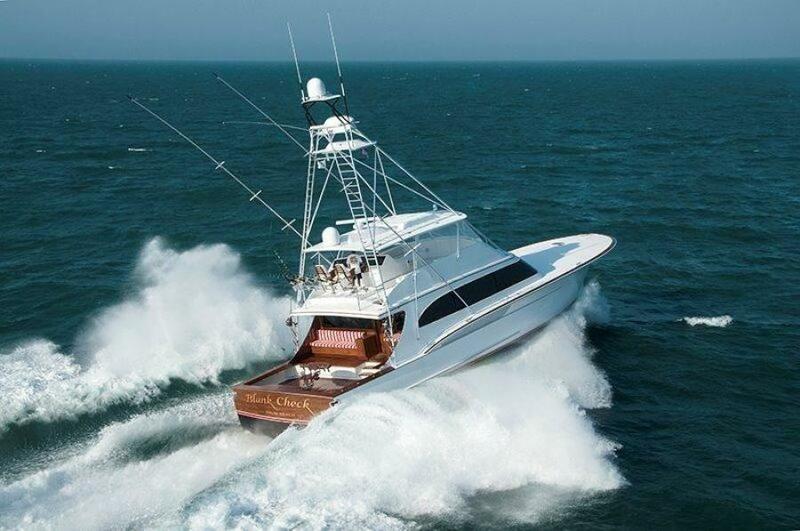 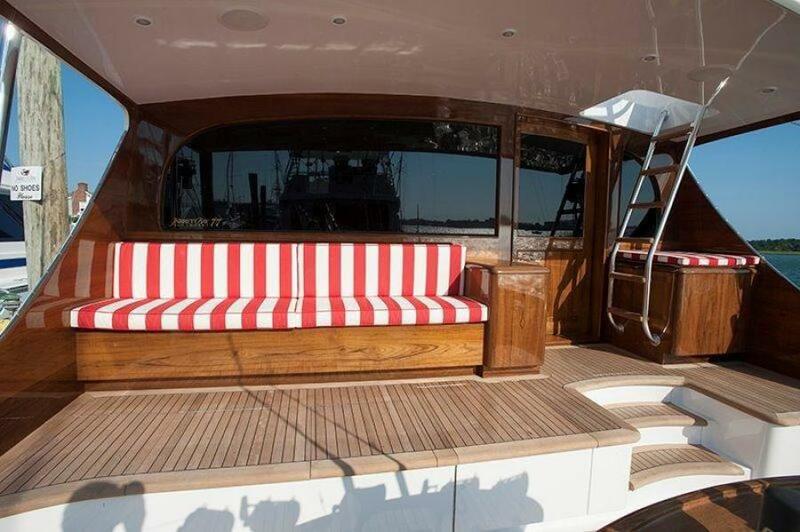 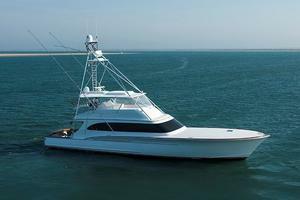 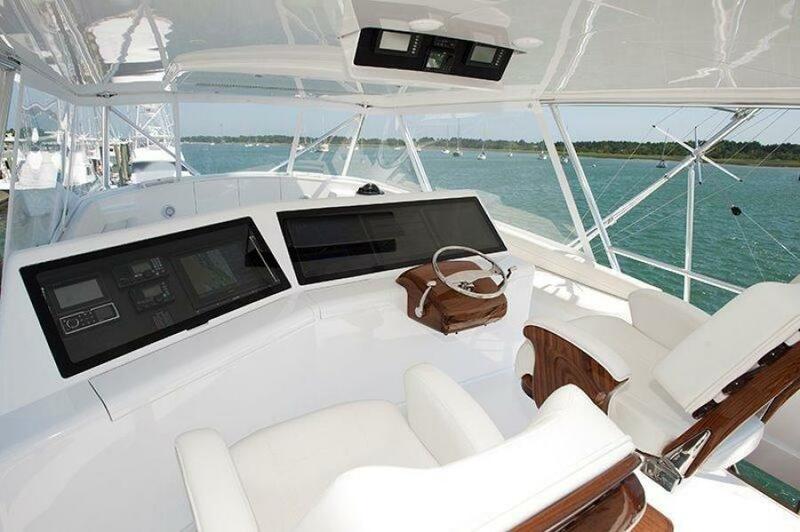 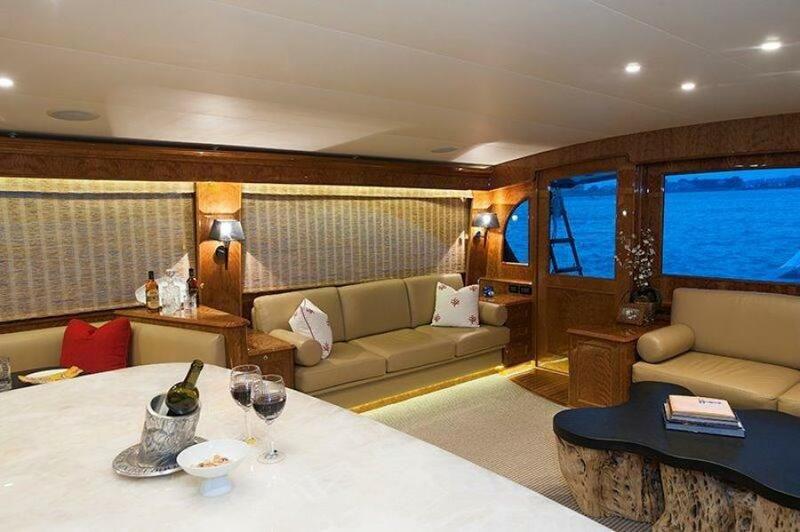 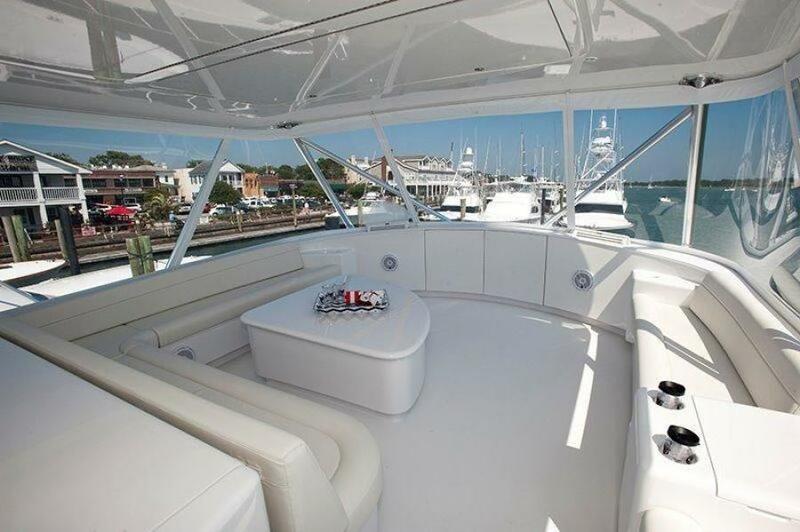 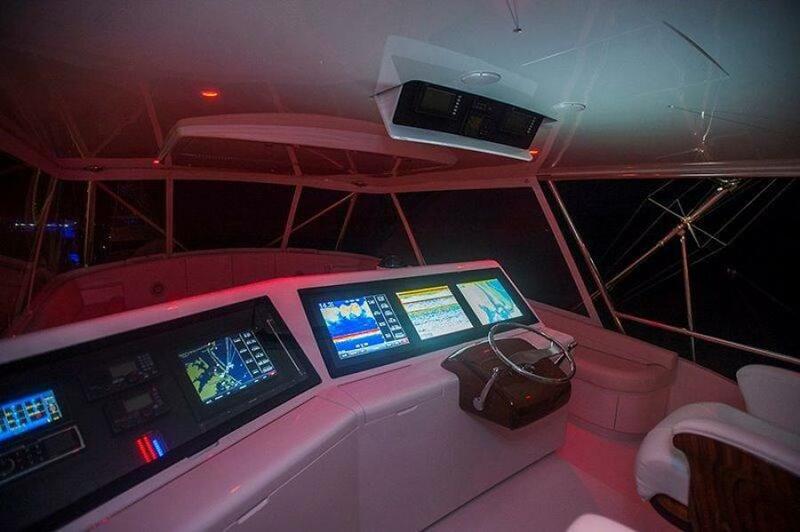 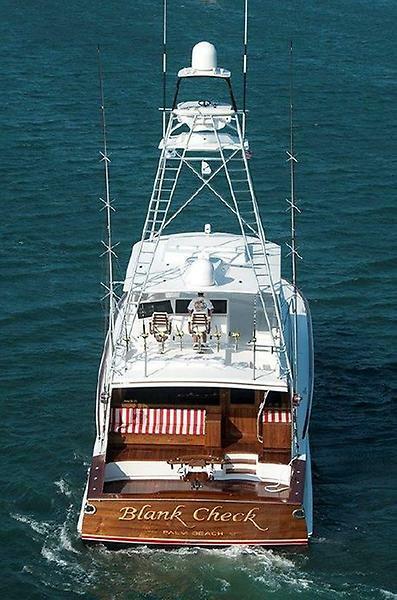 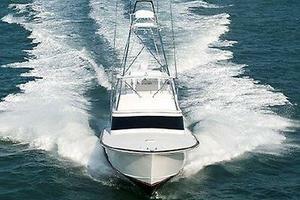 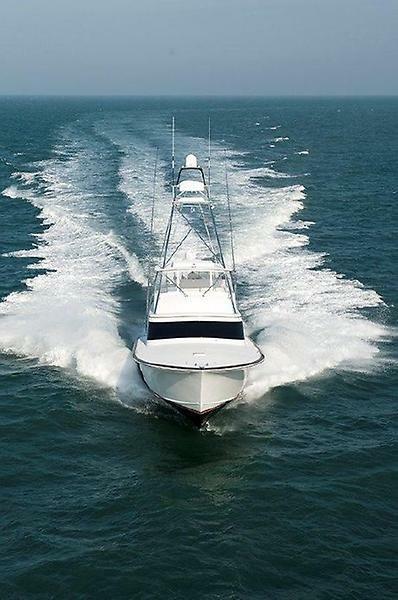 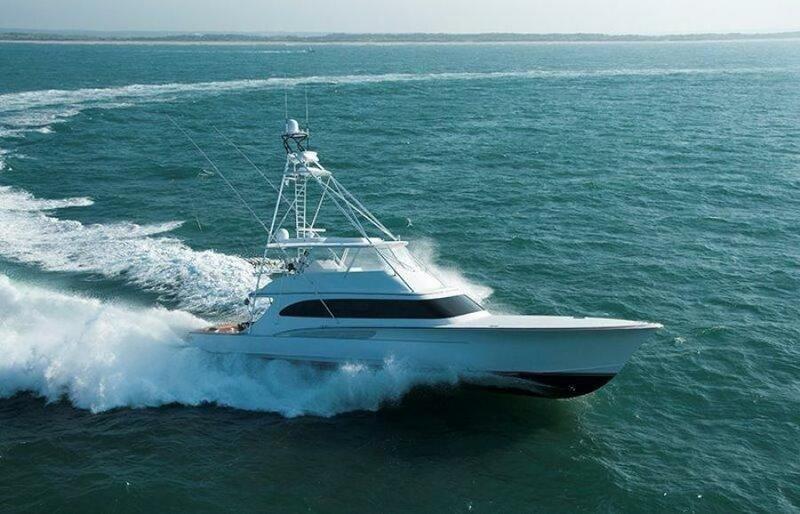 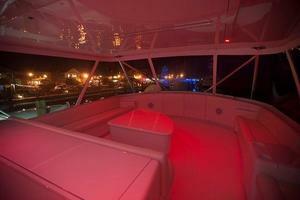 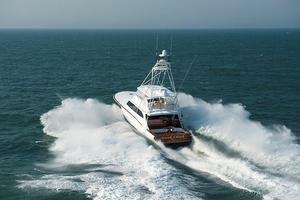 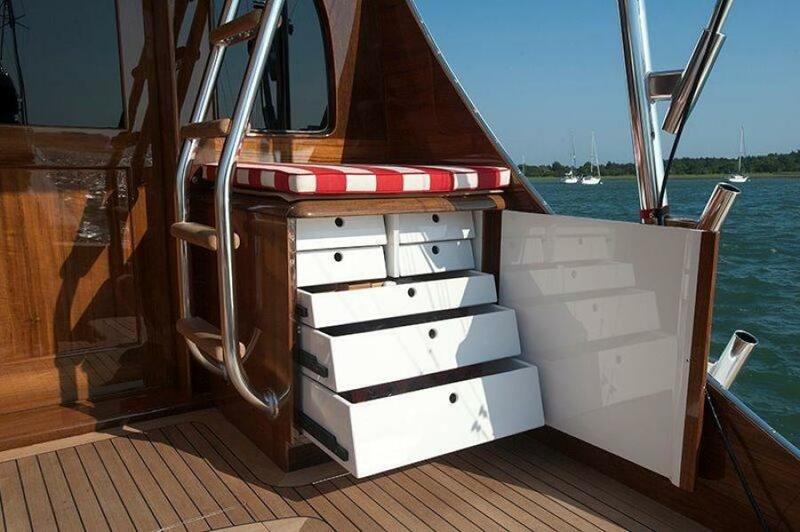 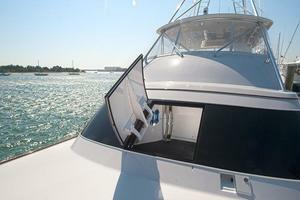 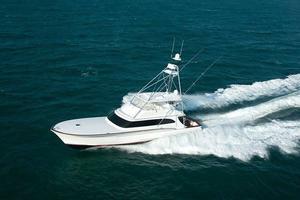 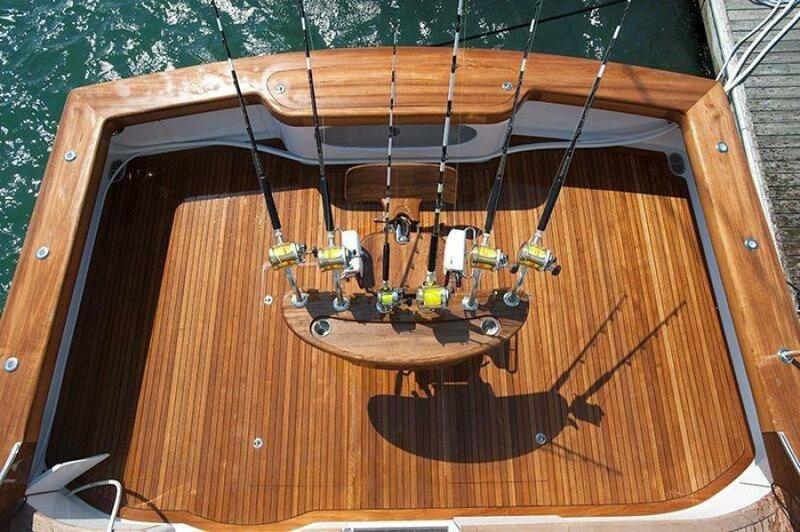 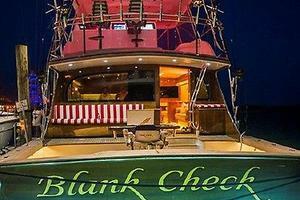 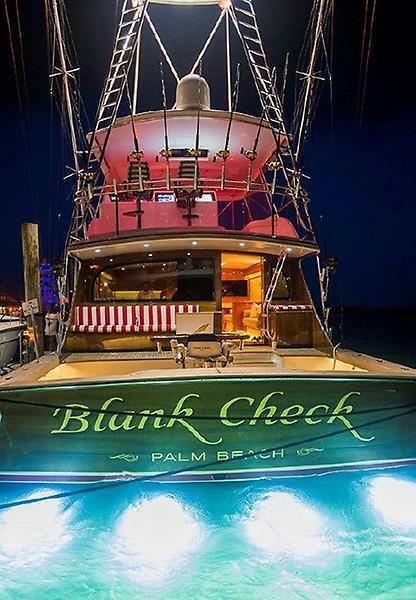 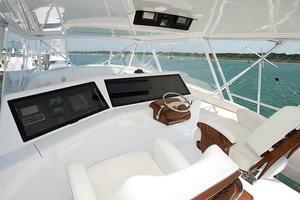 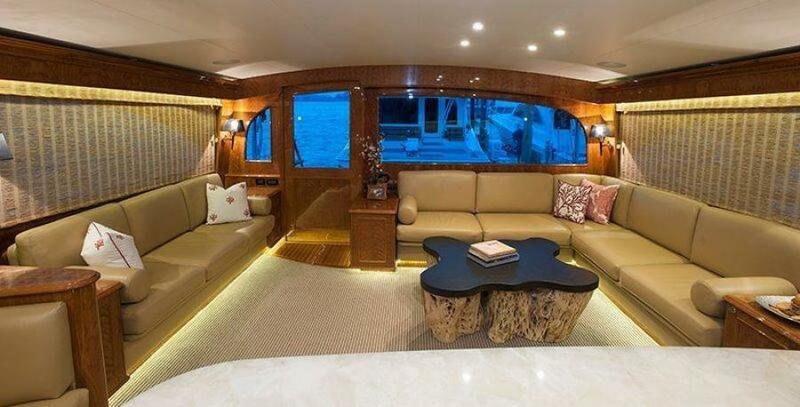 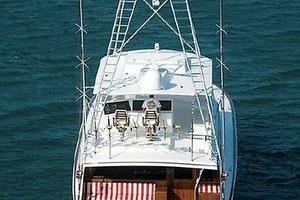 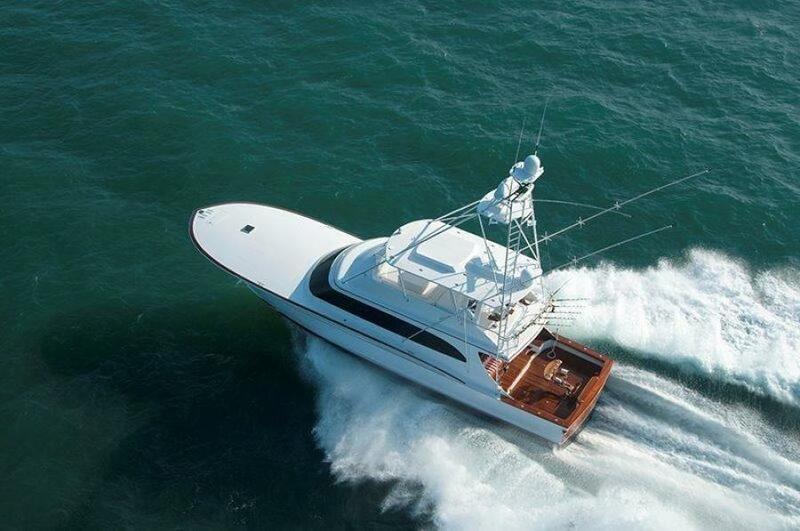 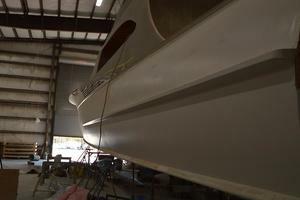 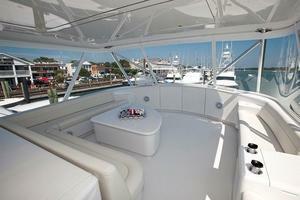 This yacht for sale is located in Beaufort, North Carolina. 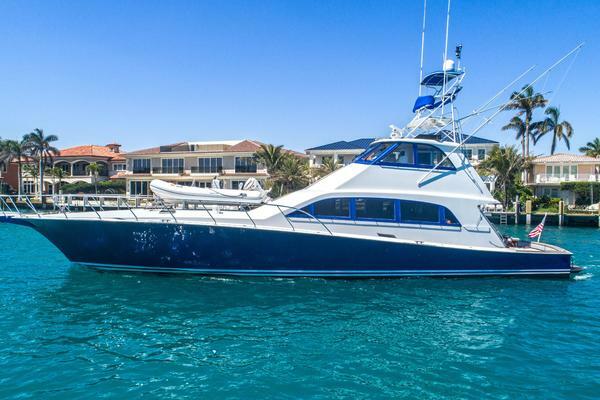 For pricing details or a showing please contact us by filling out the form on this page and we will get back to you shortly! 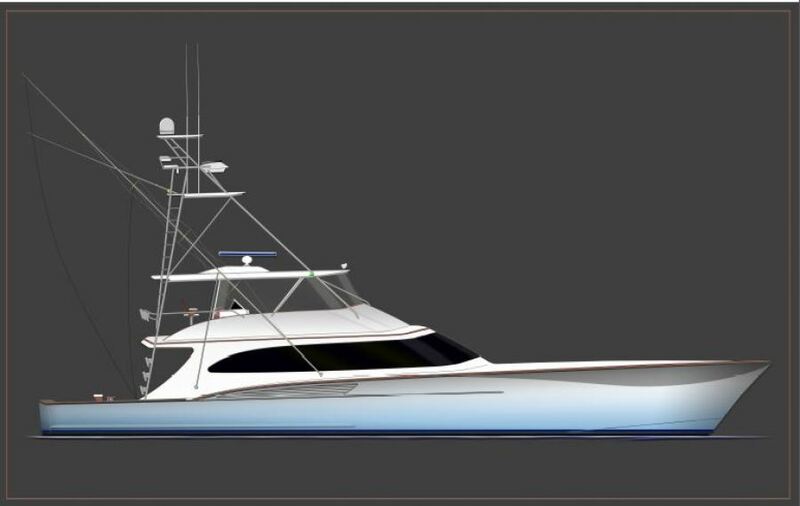 From her cold-molded fir and okume bones to her glossy Alexseal exterior finish, the 84' Jarrett Bay stays true to its custom Carolina heritage, yet represents the next evolution in sportfish performance and functionality. 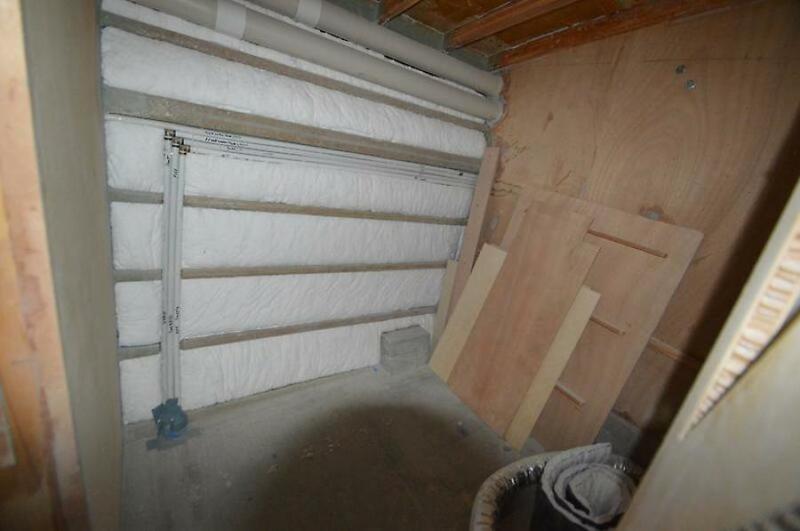 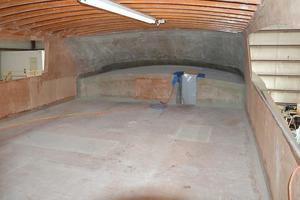 Thanks to prop tunnels and a low shaft angle, this yields increased speed and efficiency. 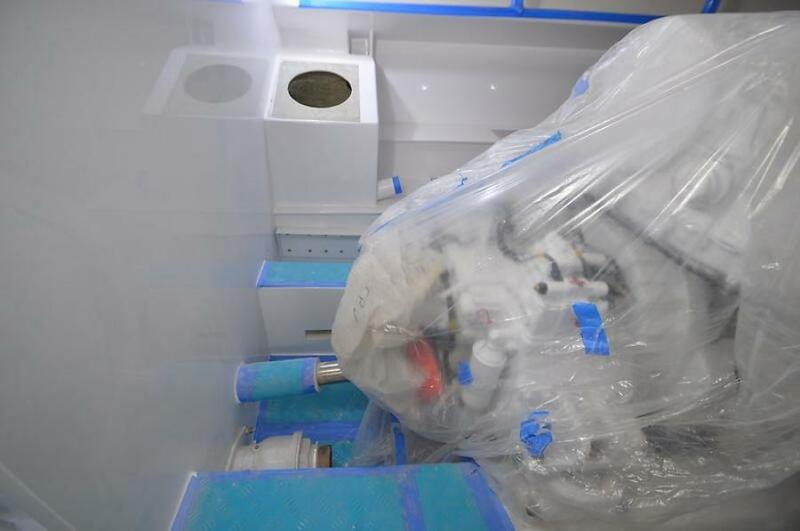 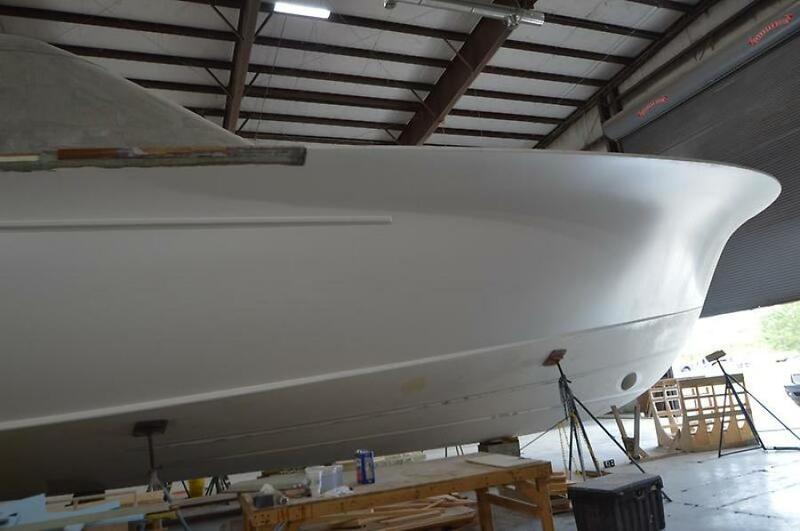 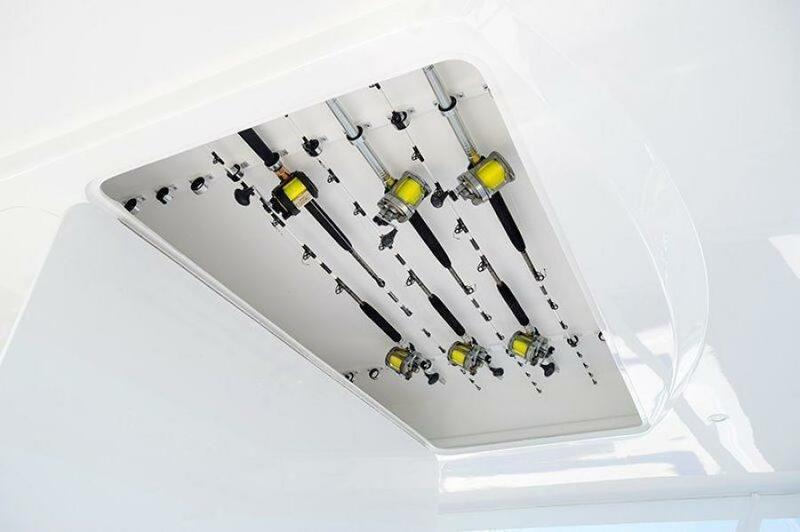 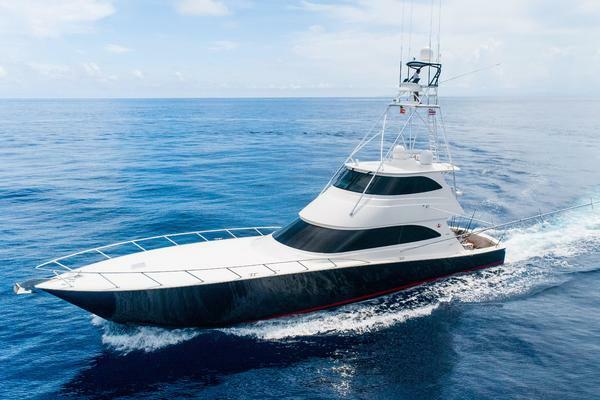 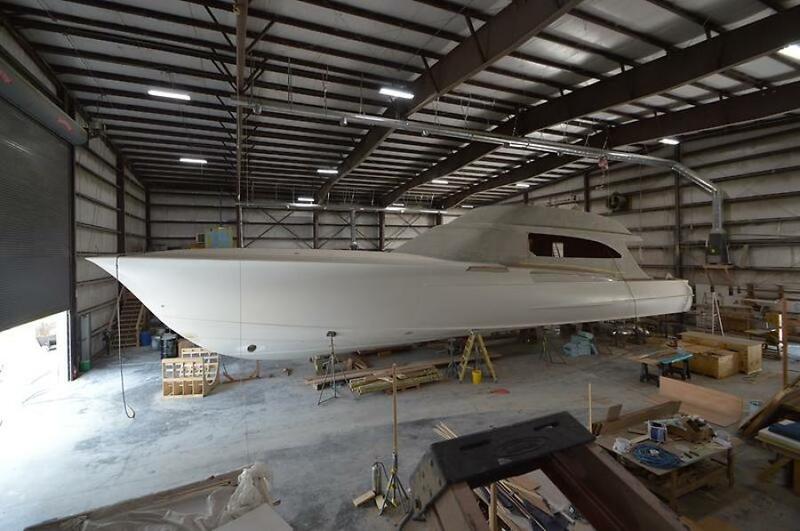 The high-speed stainless rudders and struts and a bottom with no through-hull protrusions or fairings result in an incredibly fast and sleek running surface.The intent of this build is to mirror her predecessor the 77 hull #56 which is showcased within the photos of this listing. 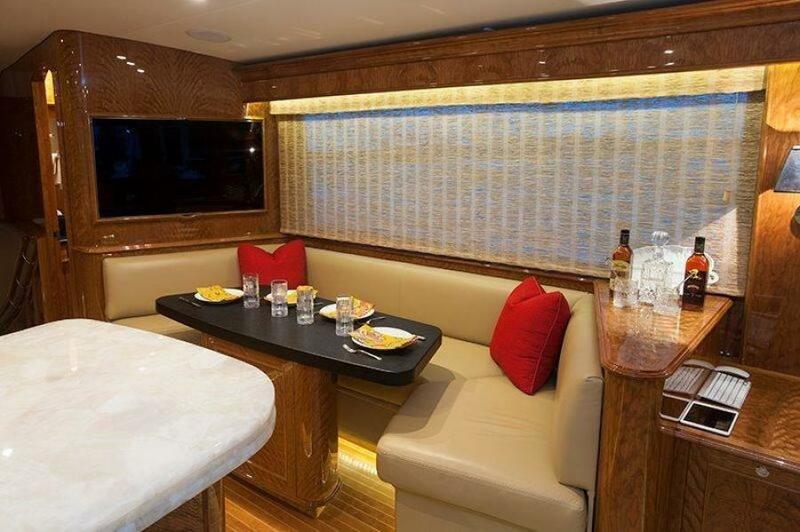 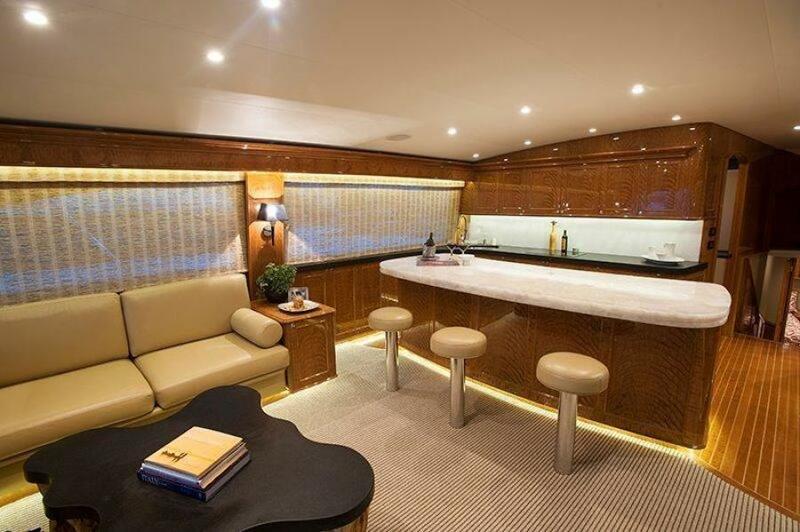 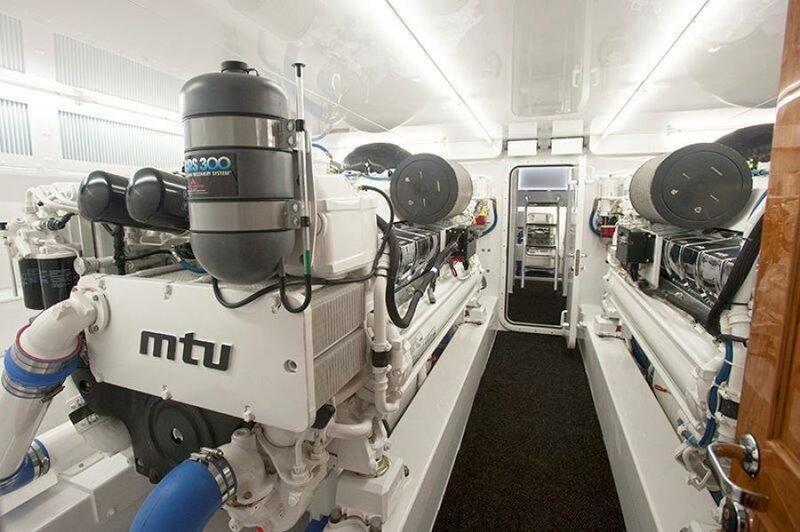 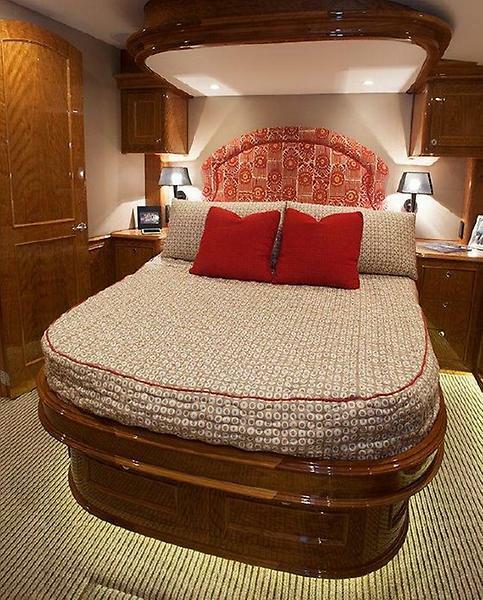 The high-gloss cherry veneers throughout her five stateroom, six head layout is made of TriCel composite in both bulkheads and cabinetry keeping the weight to speed ratio at top performance levels without sacrificing durability in the roughest seas. 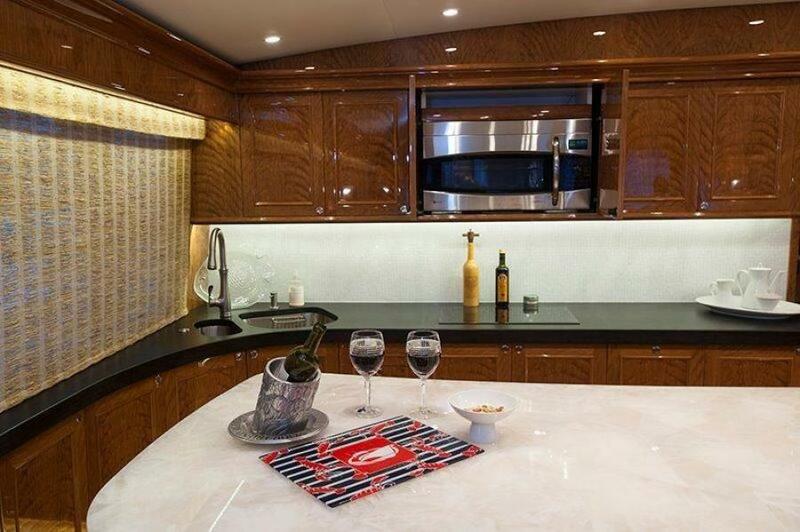 The sweeping mezzanine overhang gives way to a massive 265-sq. 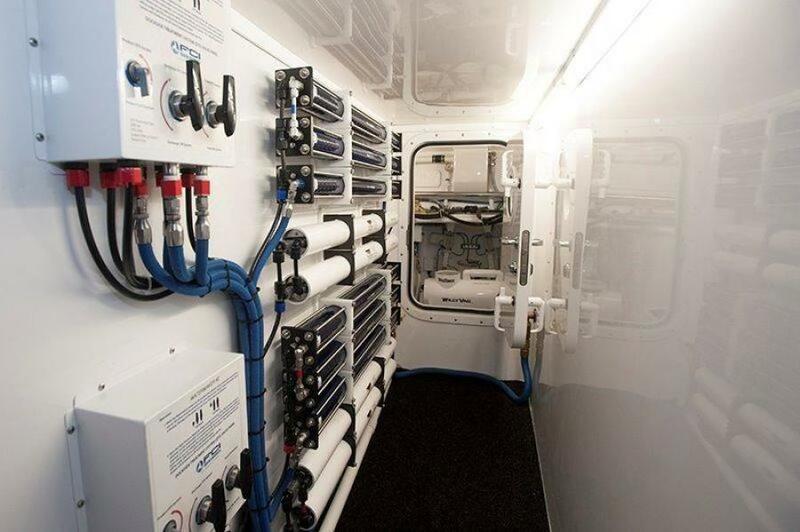 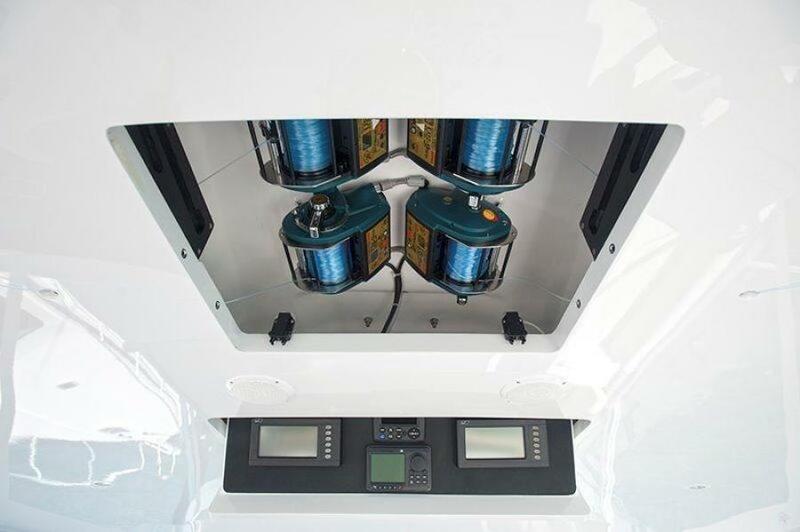 ft. cockpit, complete with two pressurized live-wells with capacities up to 125 gallons.She is powered by Twin 16V-2000 MTUs rated at 2,600hp and carries 4,000 gallons of fuel and is estimated to top out at a speed of 41 kts, with estimated cruising speed of 35 kts. 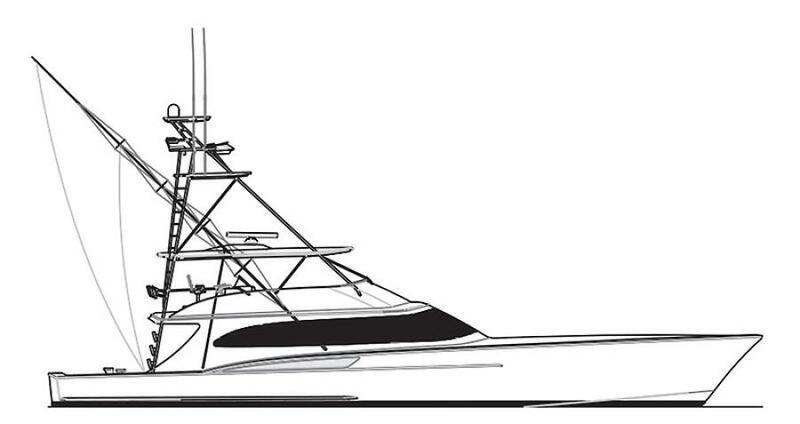 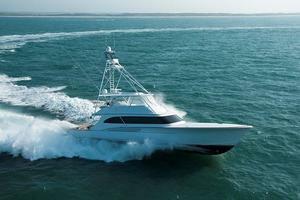 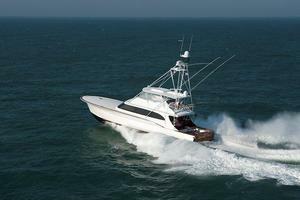 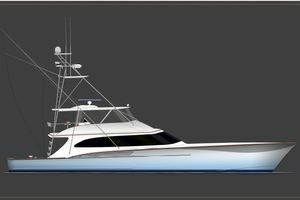 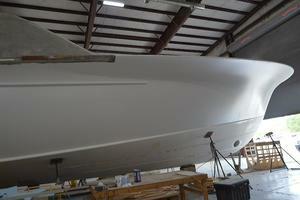 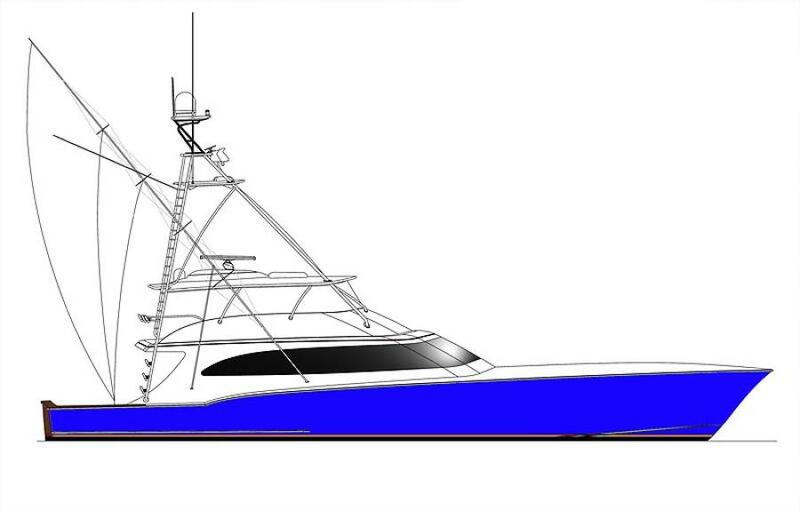 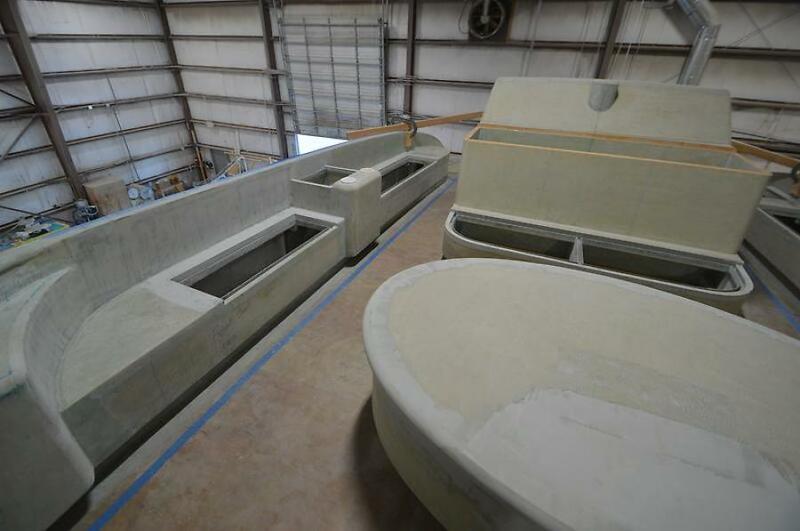 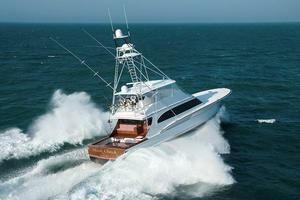 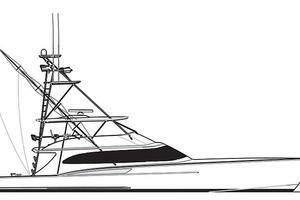 With nearly 60 custom builds to date, Jarrett Bay designs their hulls, first and foremost, with performance in mind. 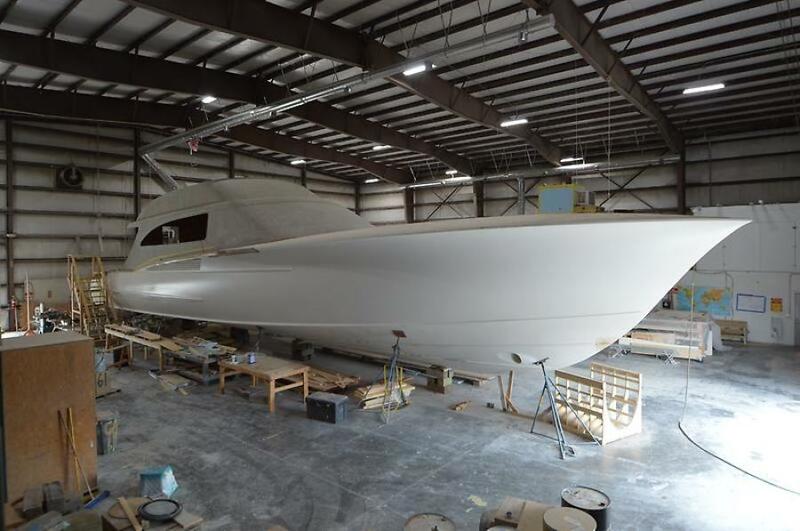 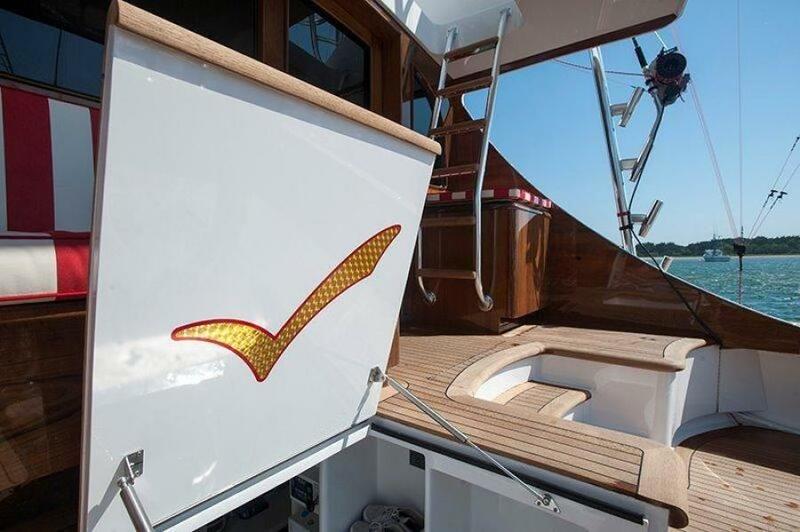 Jarrett Bay's proven modified-vee hull design uses steadfastly seaworthy, lightweight materials allowing her to be faster than other similarly sized boats with equal or more horsepower, with significantly superior fuel economy compared to most boats in her class. 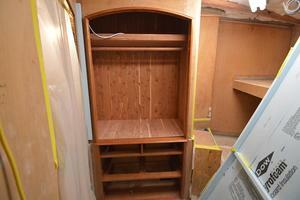 There are only a few cabinets built for the salon, so your opportunity is endless at this time. 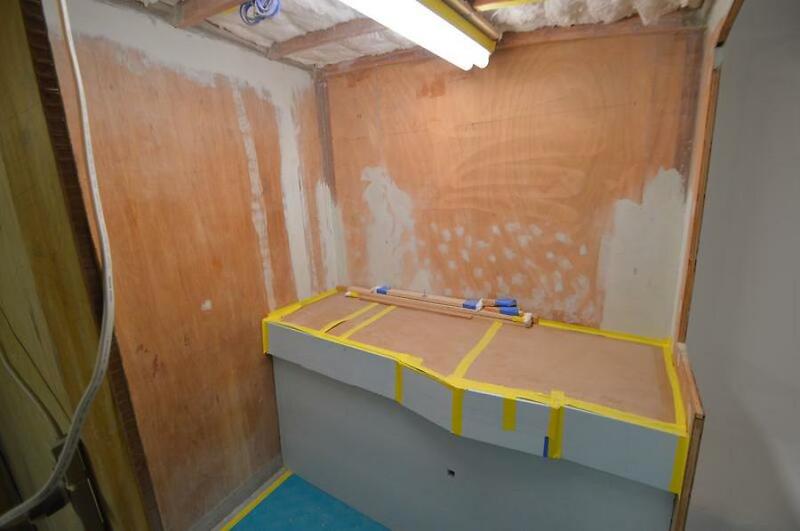 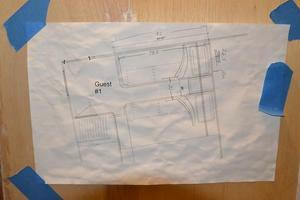 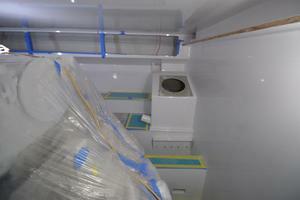 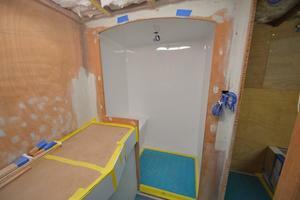 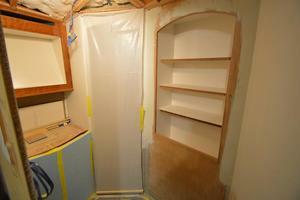 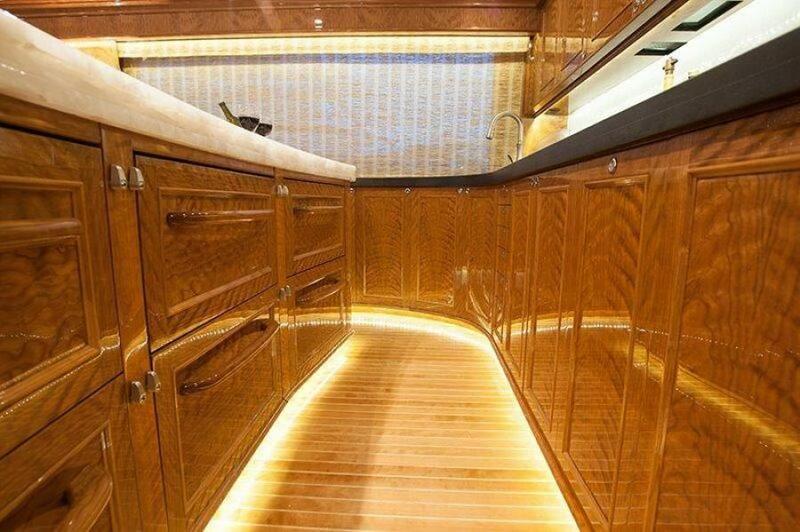 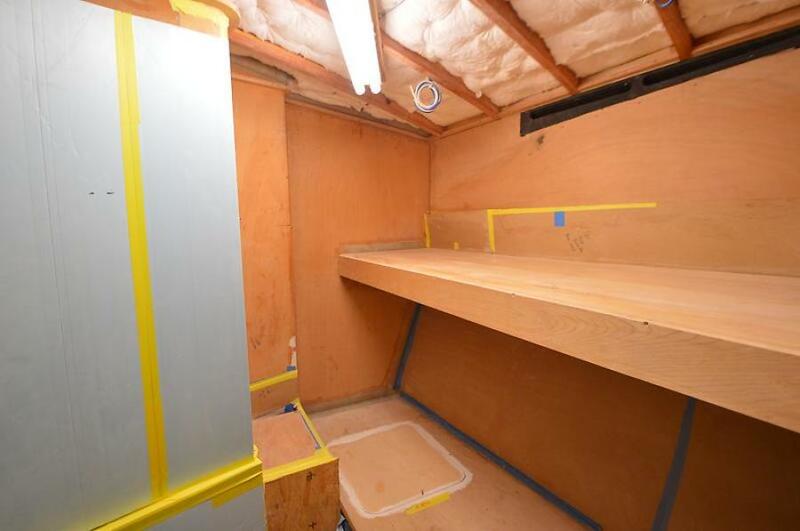 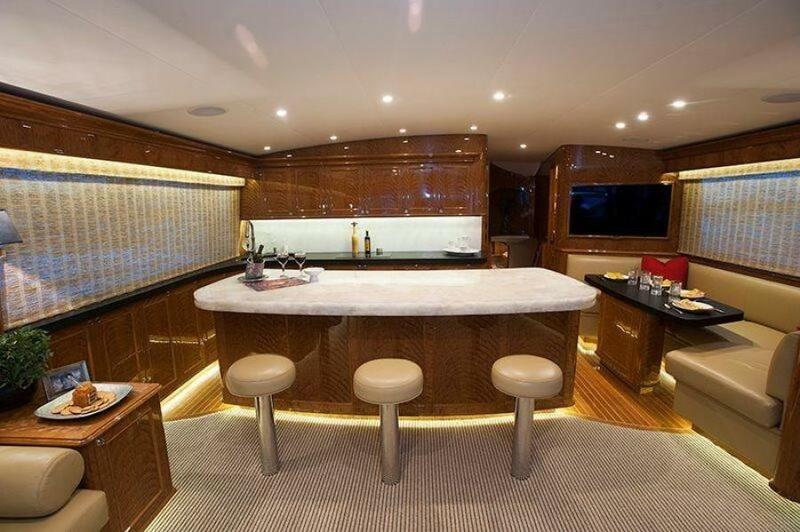 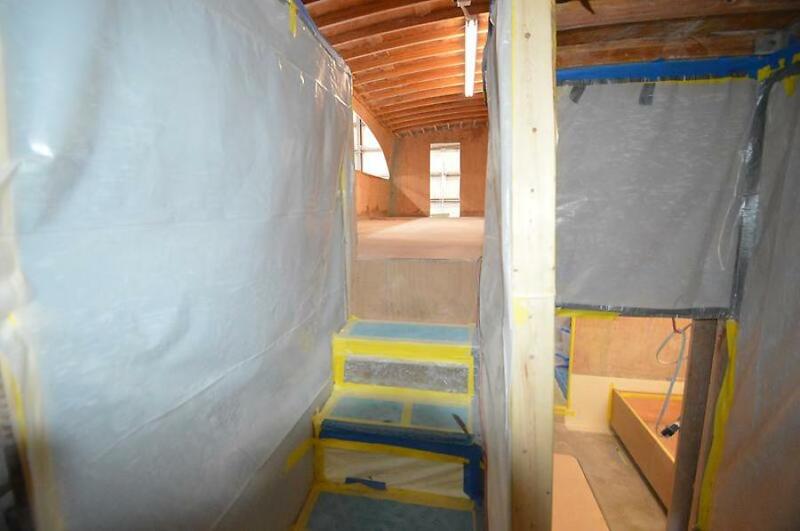 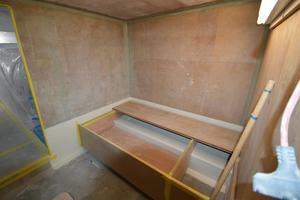 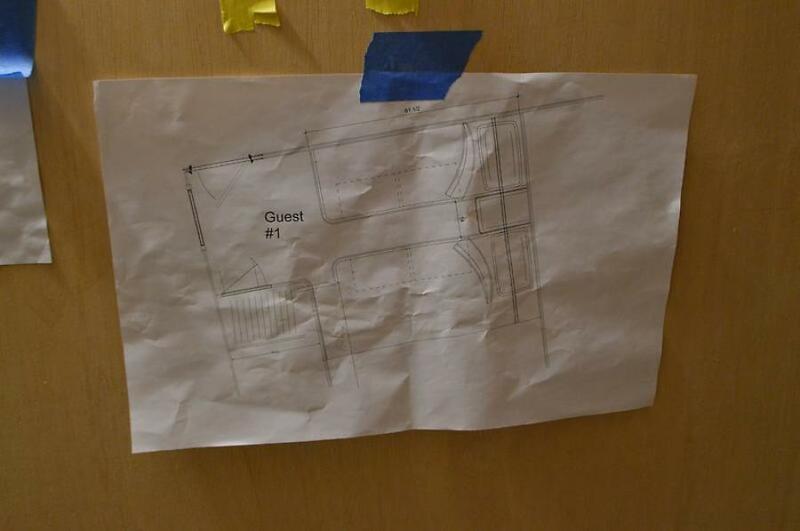 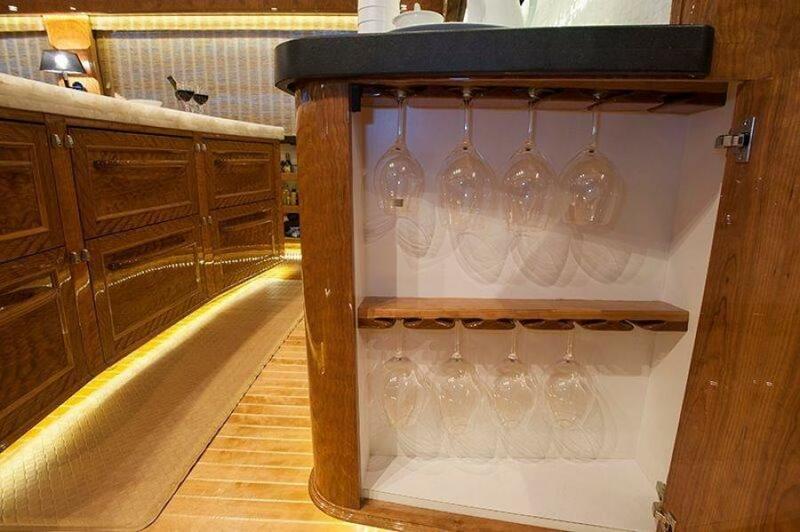 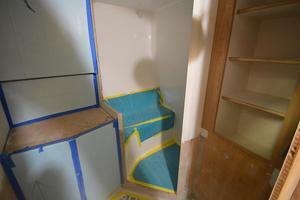 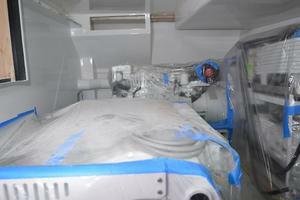 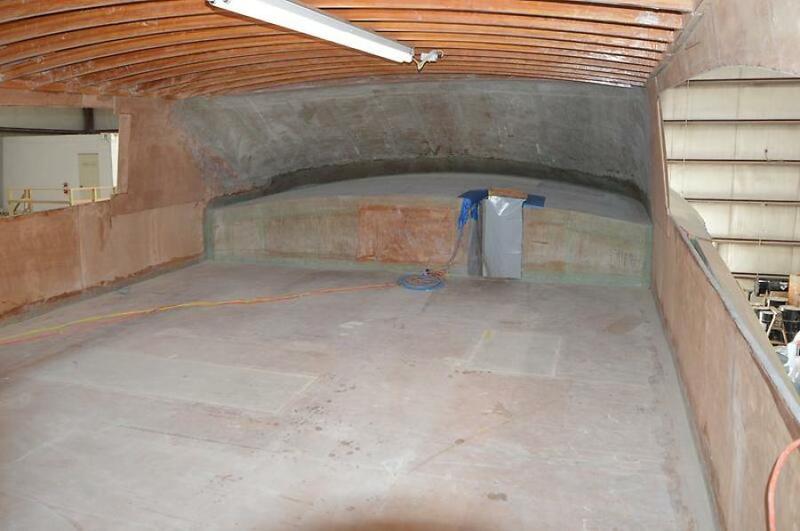 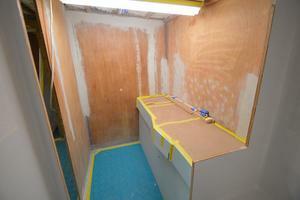 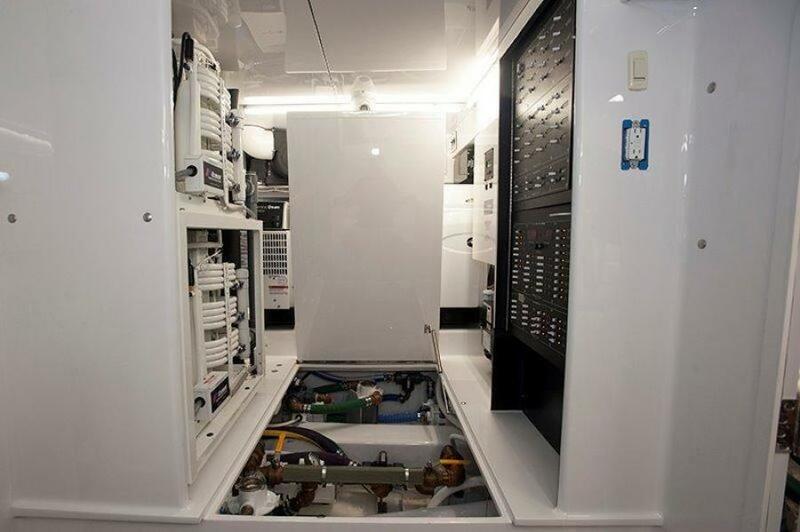 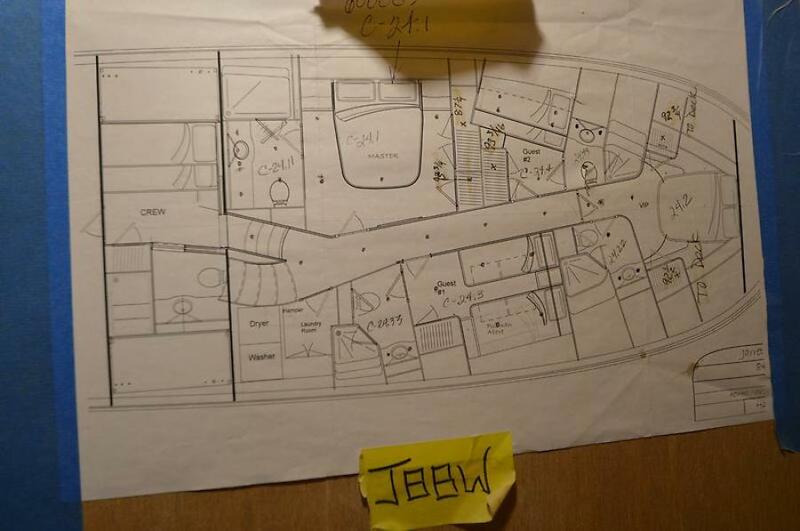 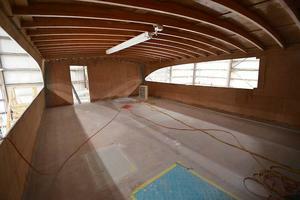 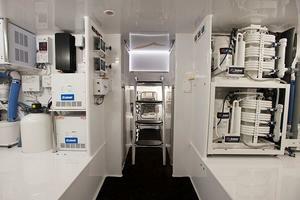 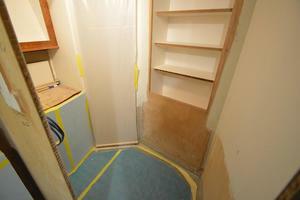 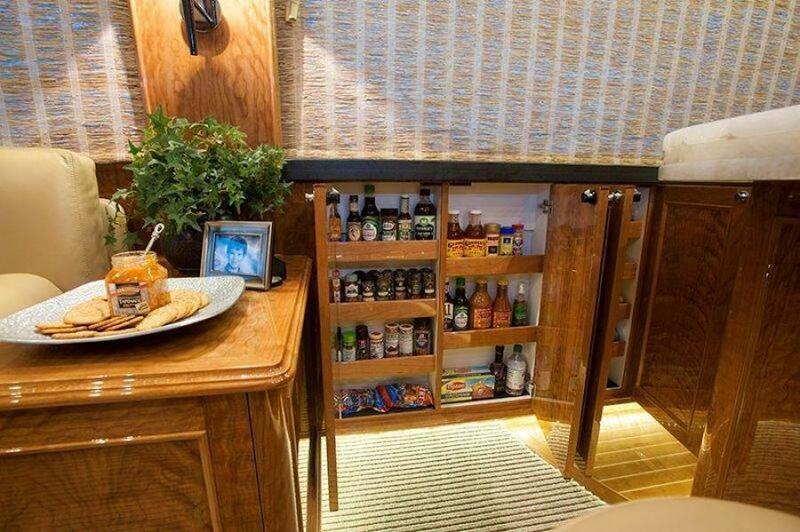 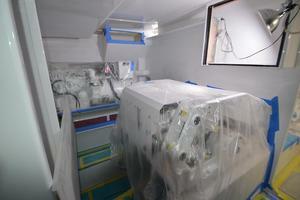 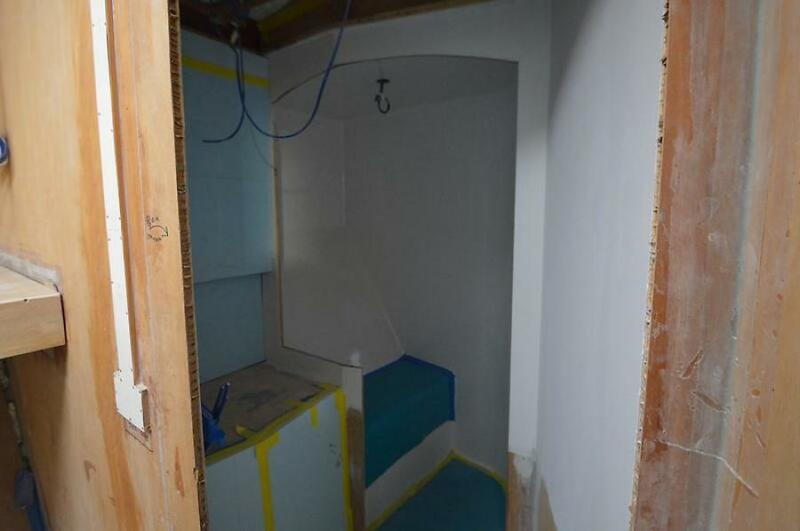 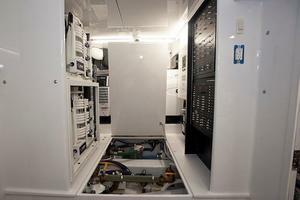 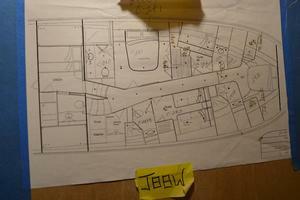 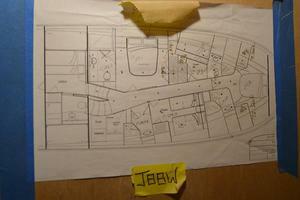 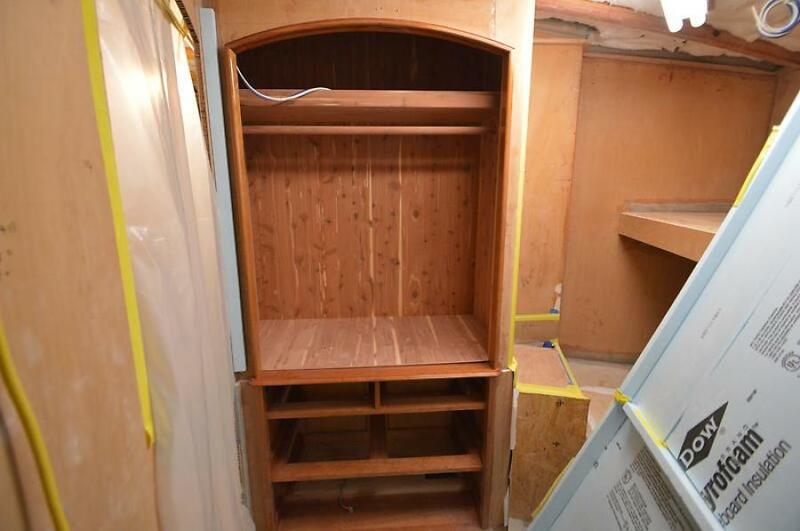 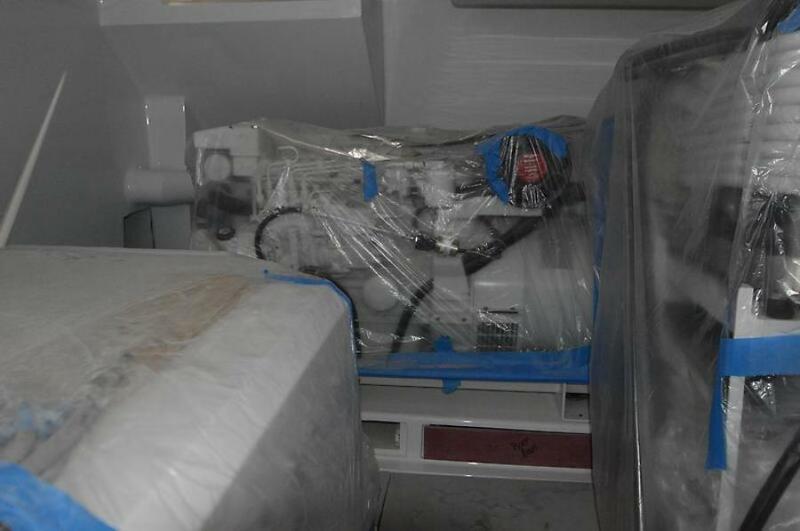 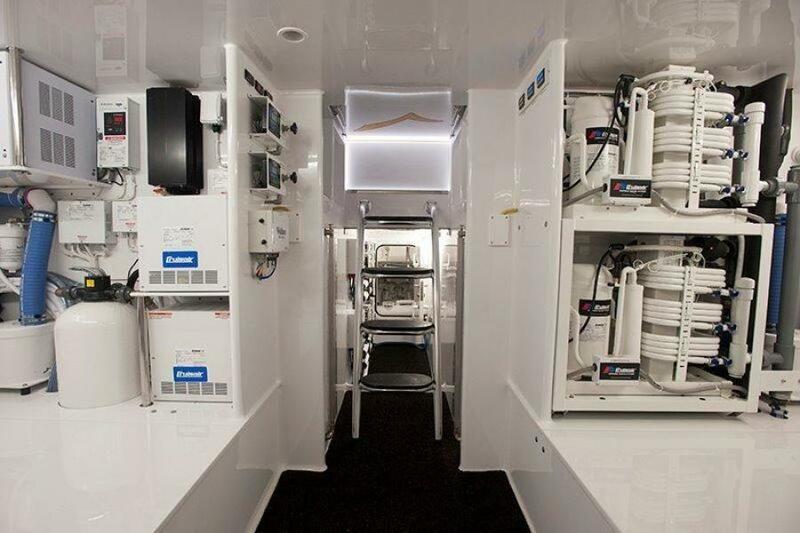 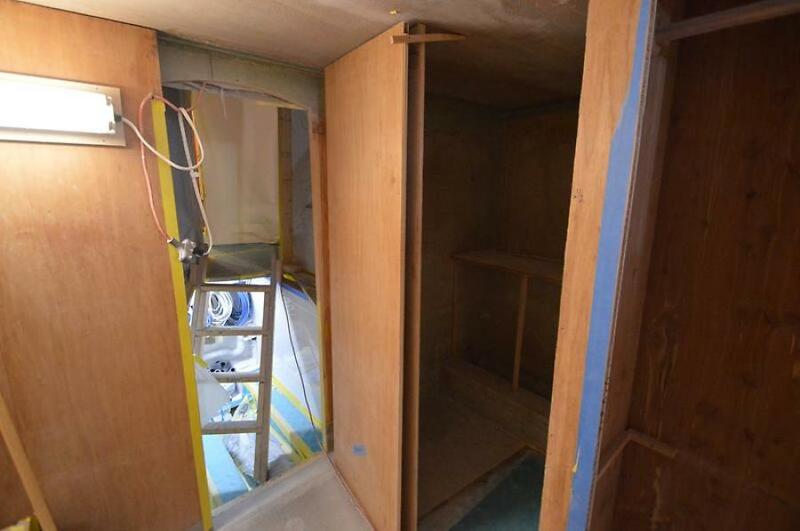 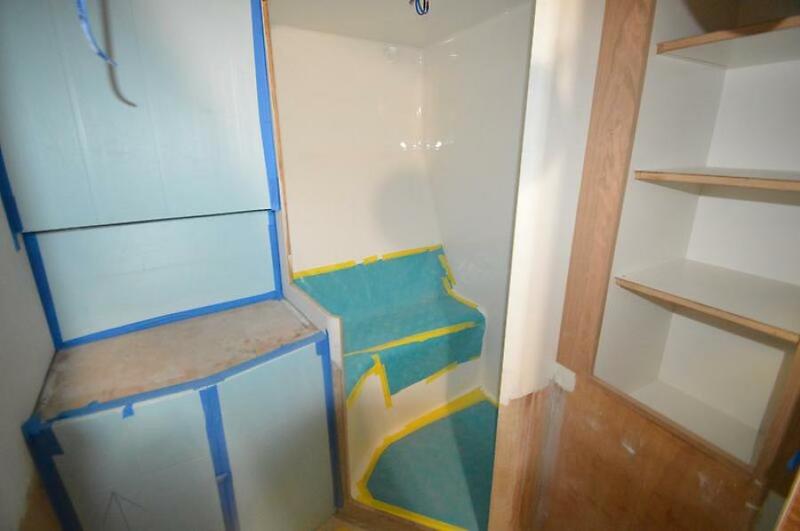 The galley is also able to be designed to your liking, as nothing has been built. 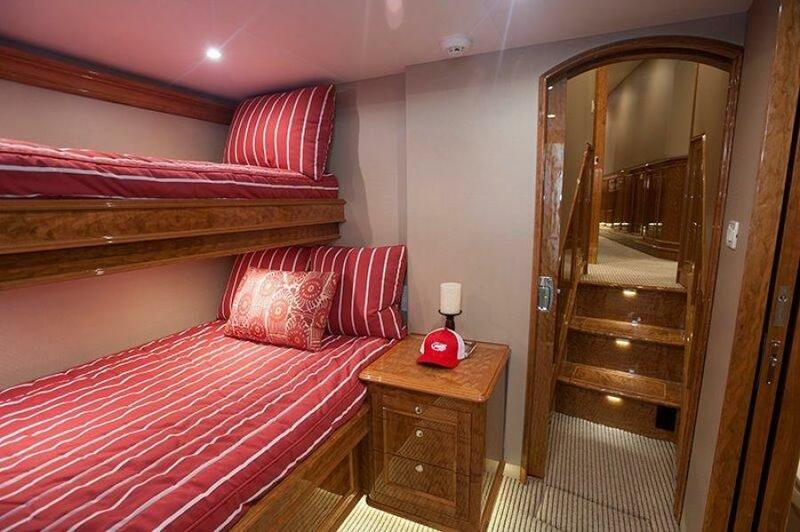 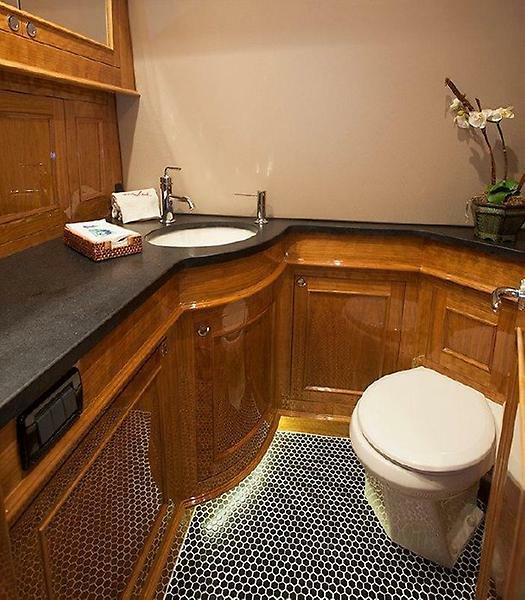 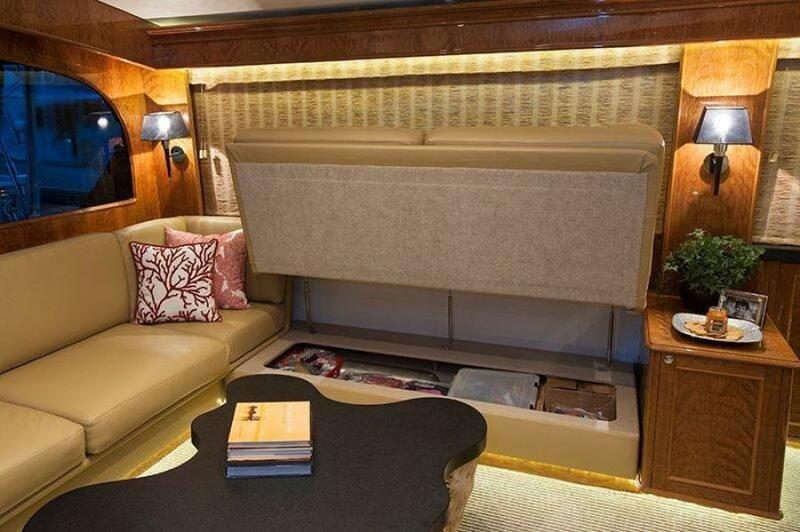 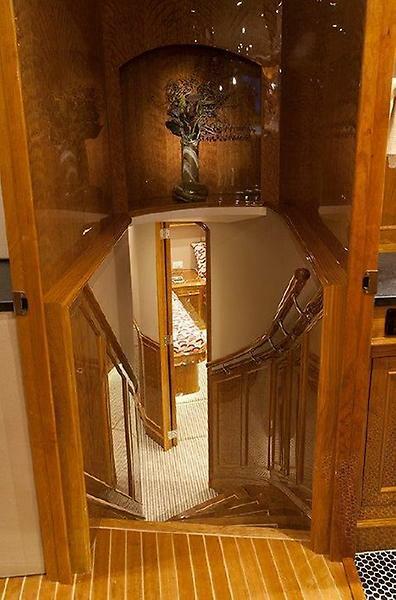 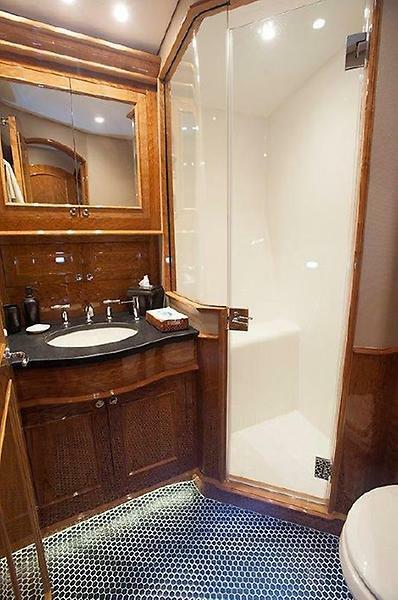 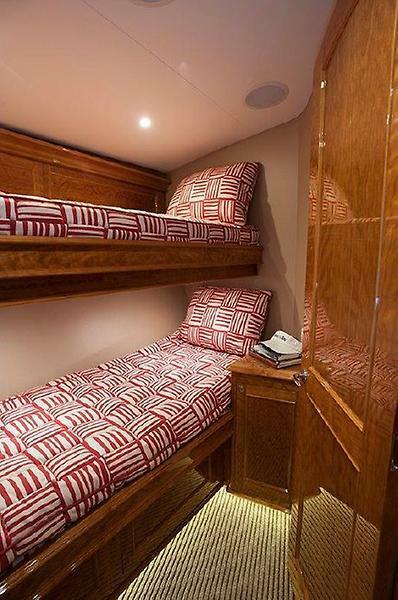 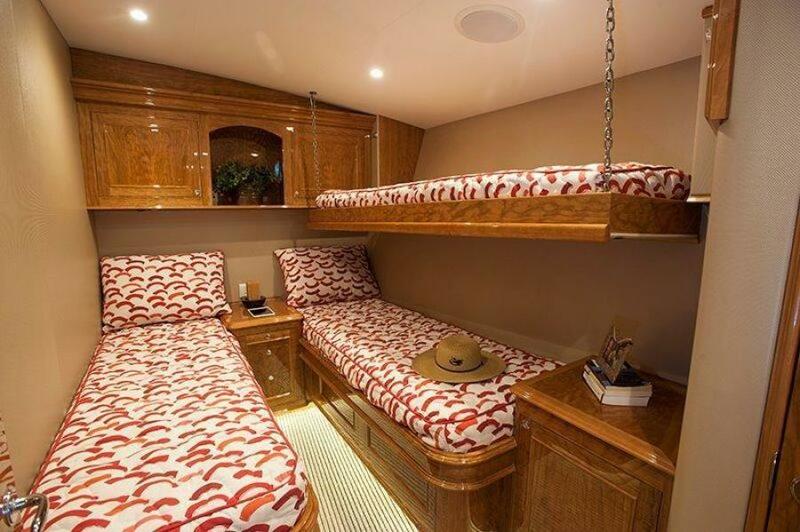 Just off the port companionway you will find the master stateroom, which showcases a queen walk around berth, nightstands on either side with storage and a hanging locker. 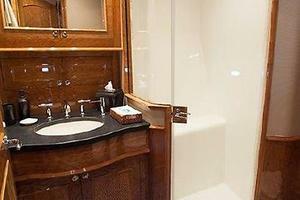 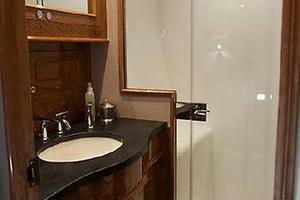 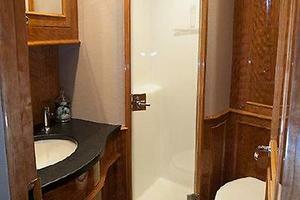 Aft, you will find a large head with stall shower. 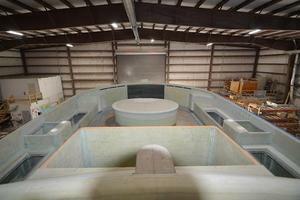 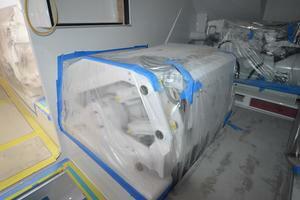 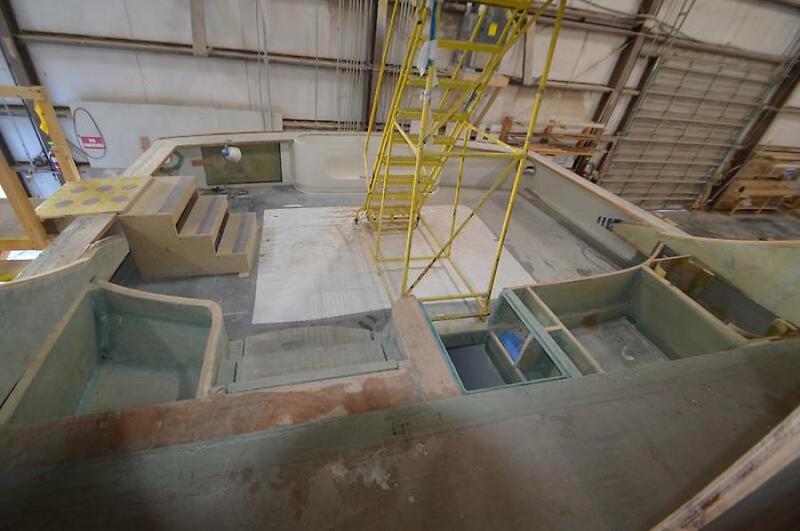 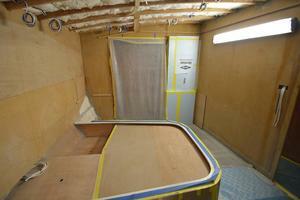 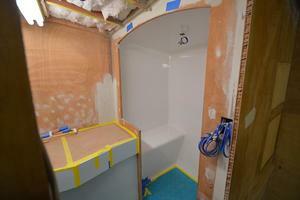 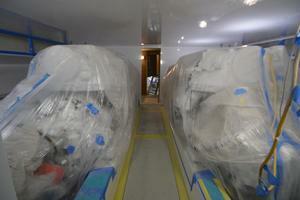 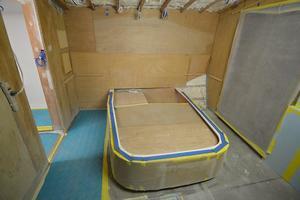 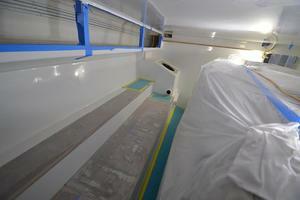 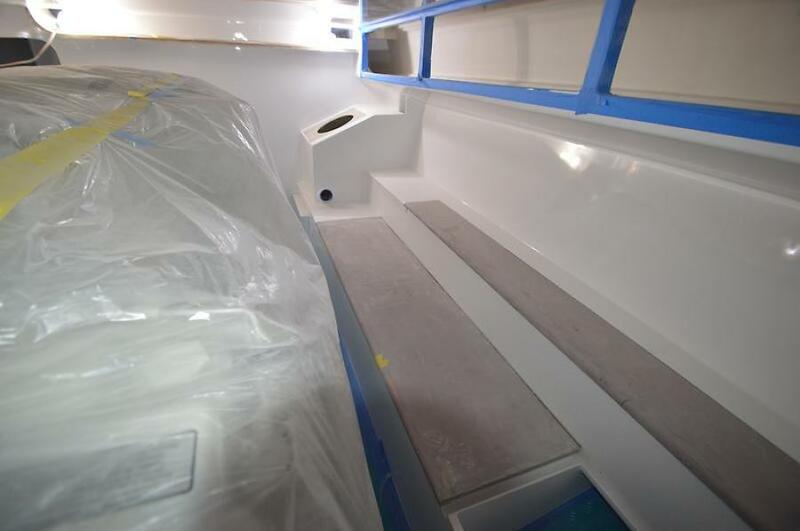 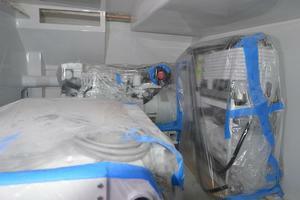 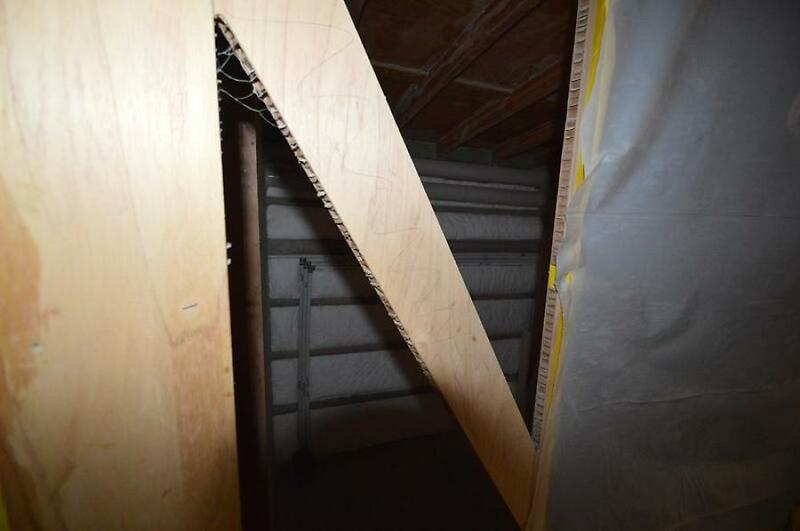 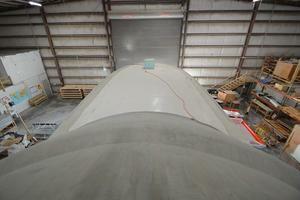 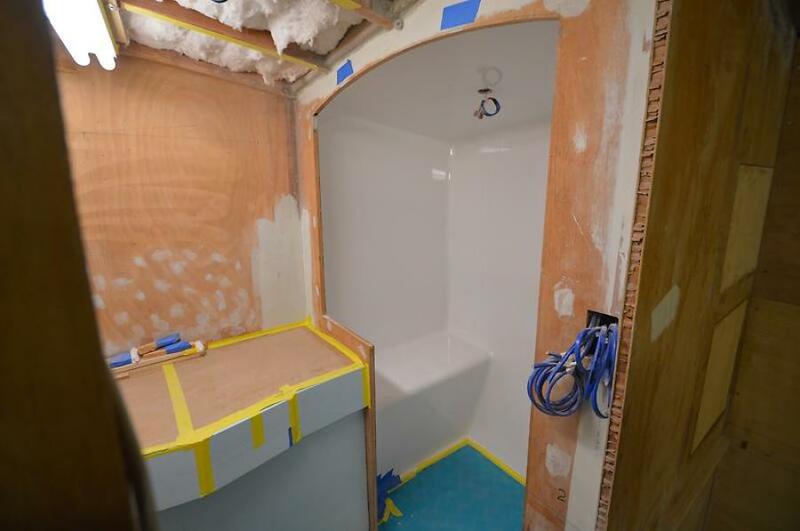 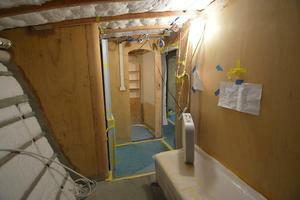 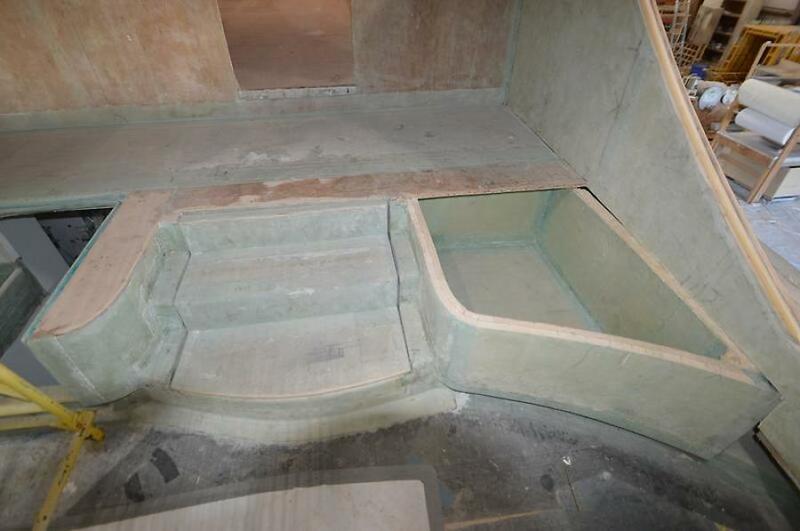 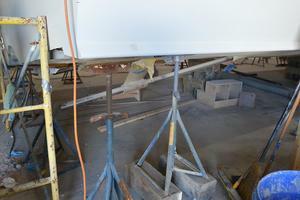 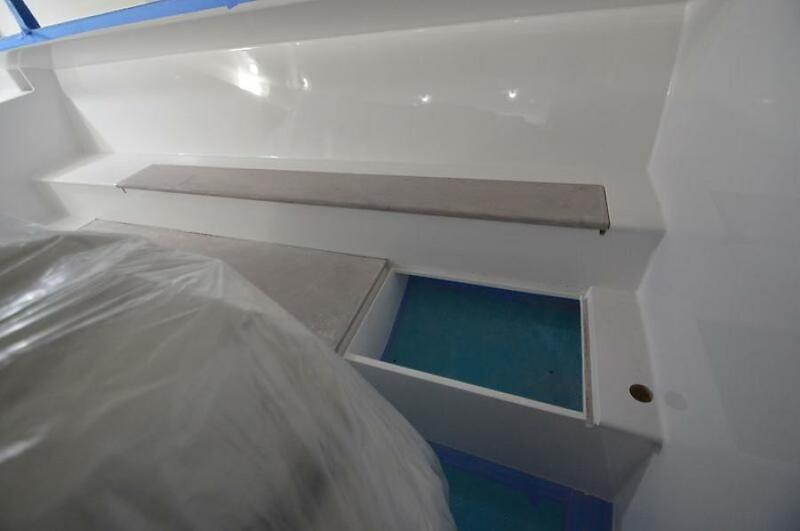 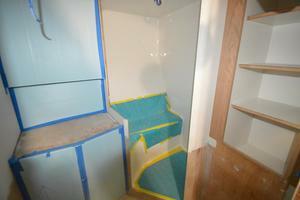 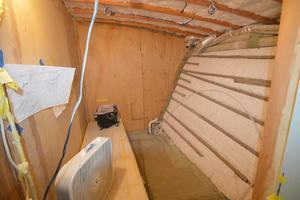 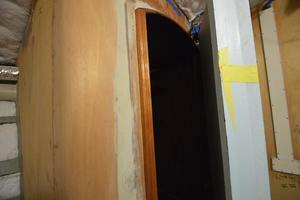 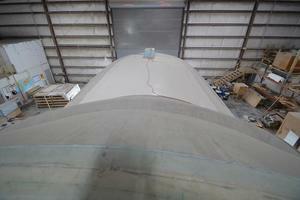 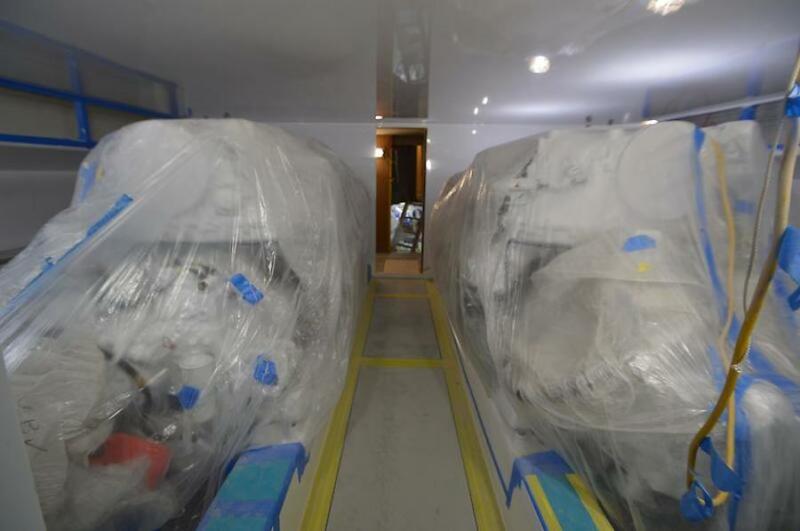 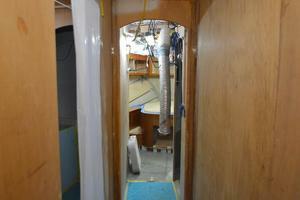 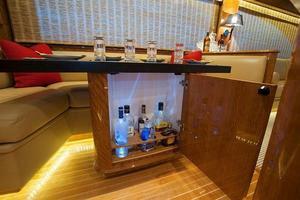 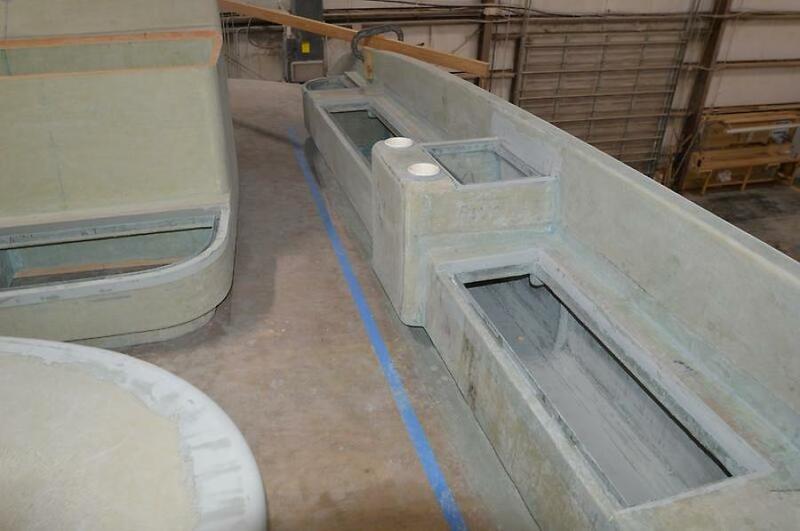 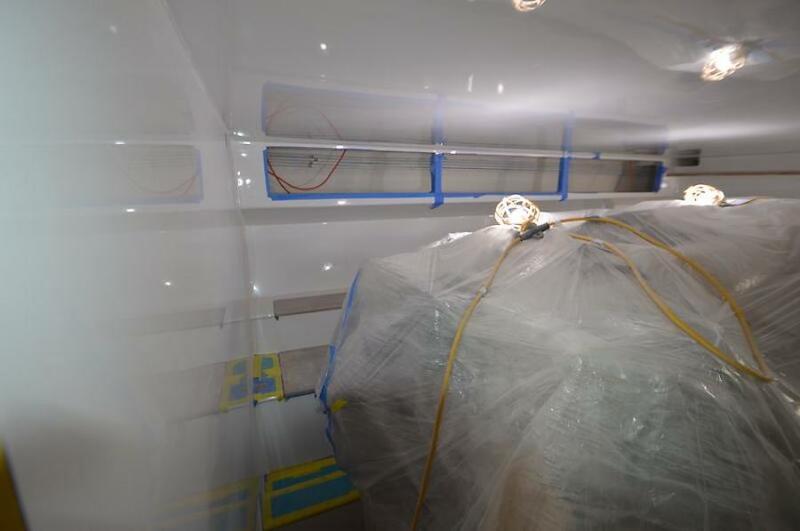 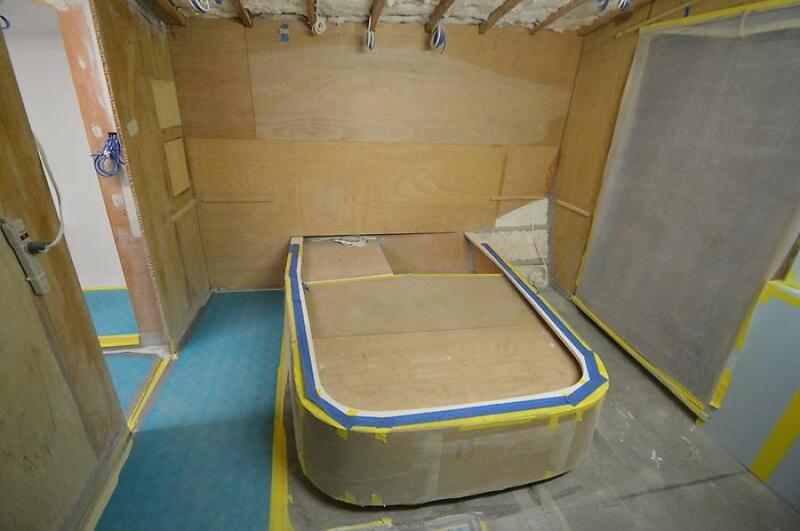 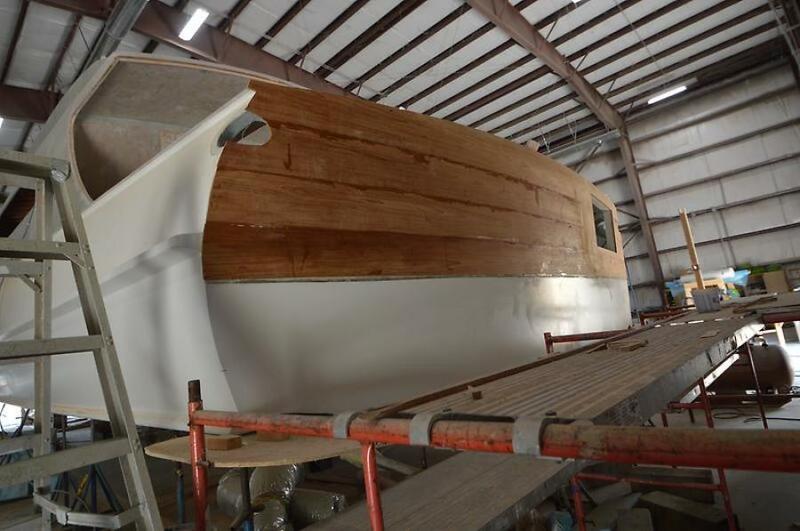 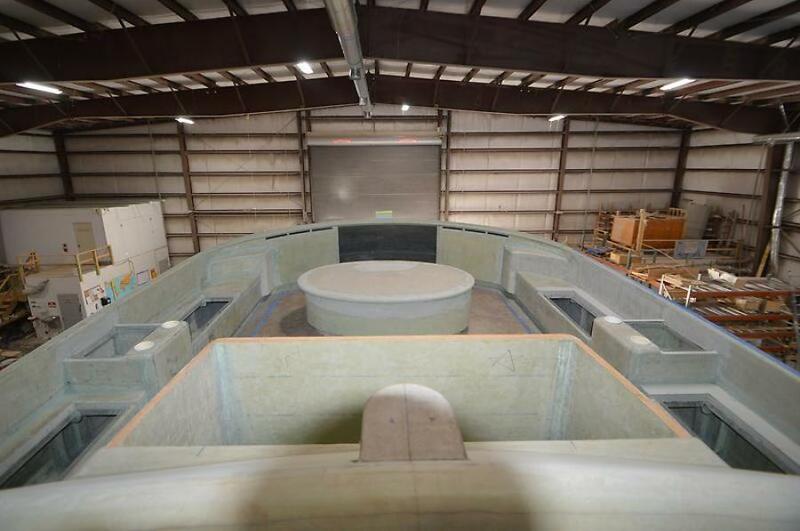 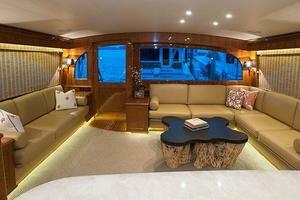 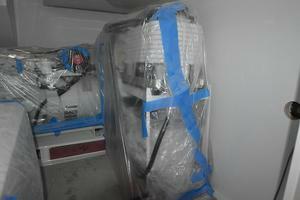 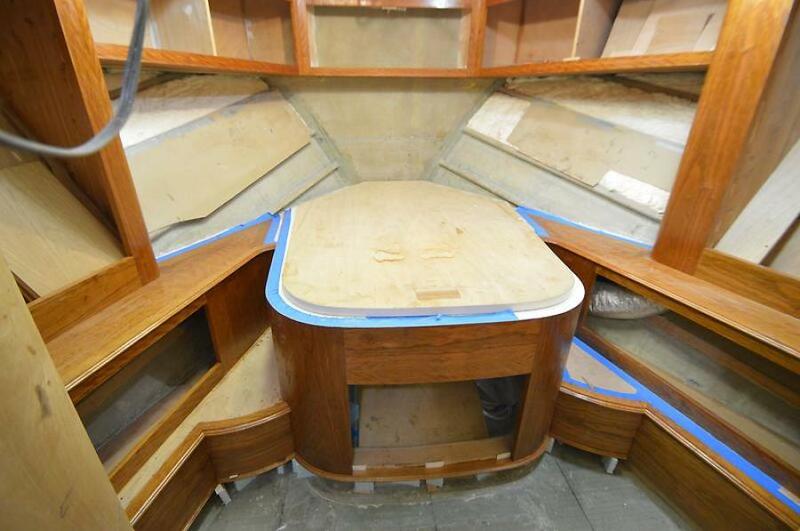 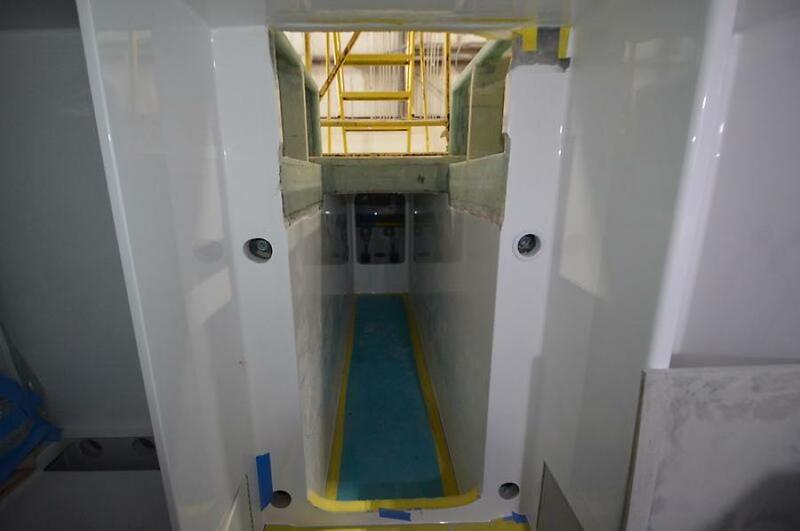 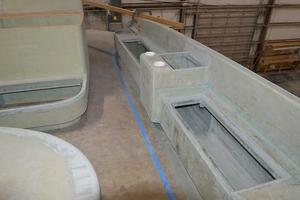 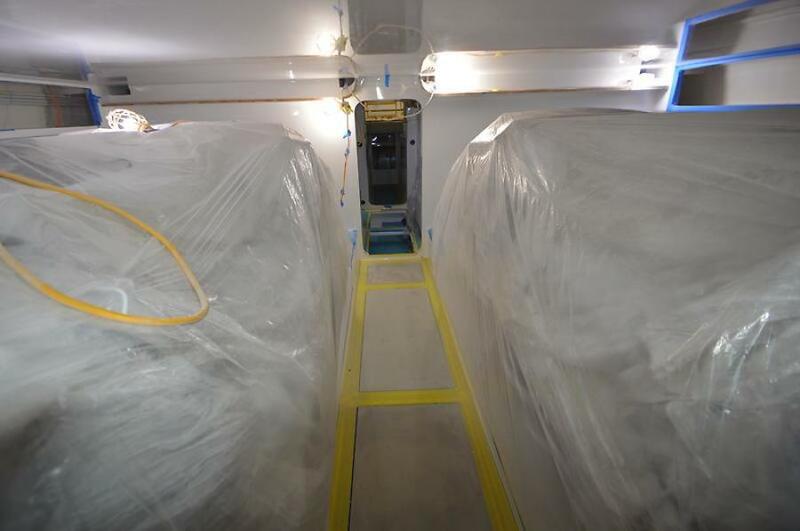 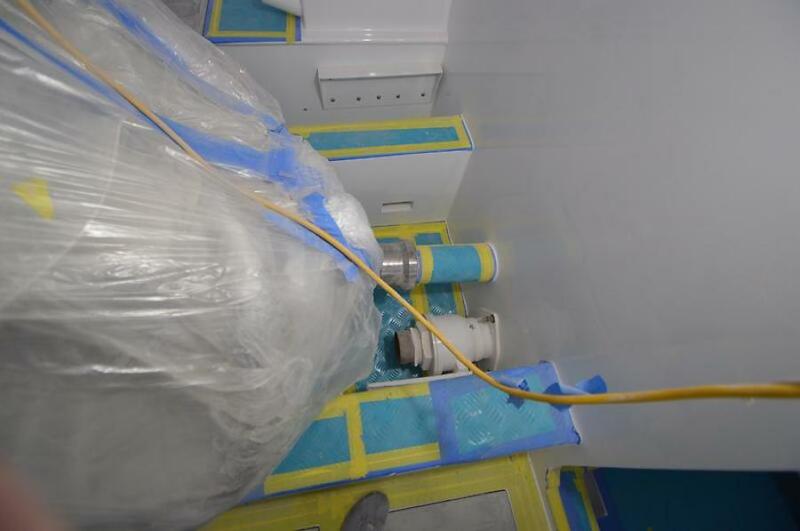 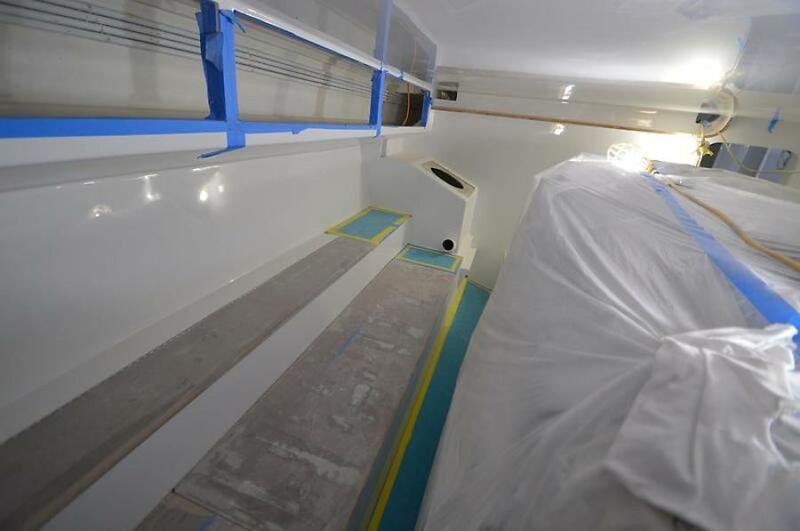 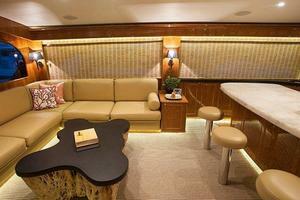 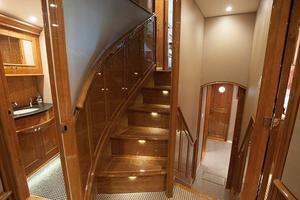 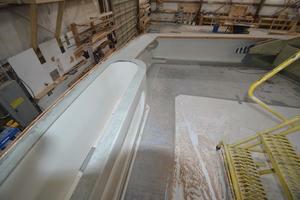 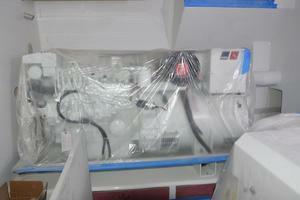 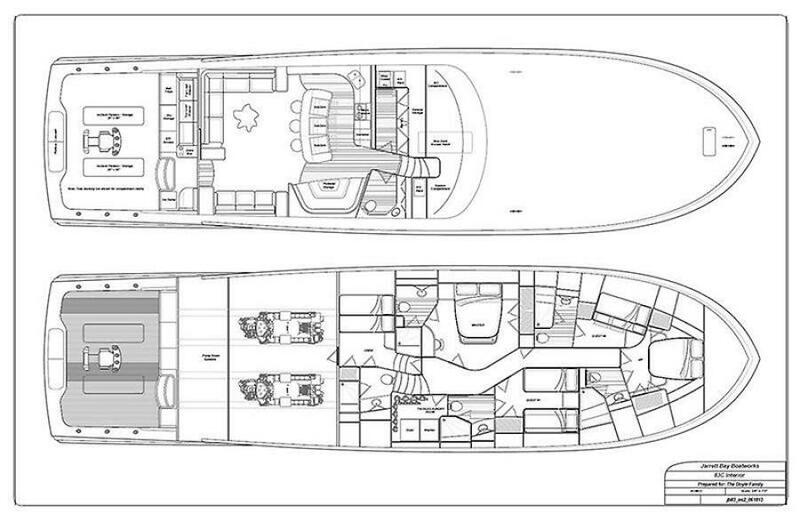 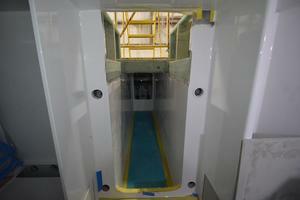 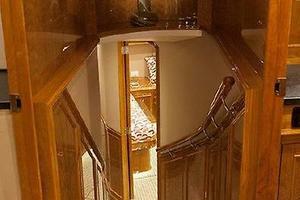 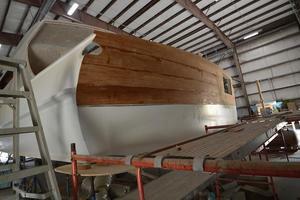 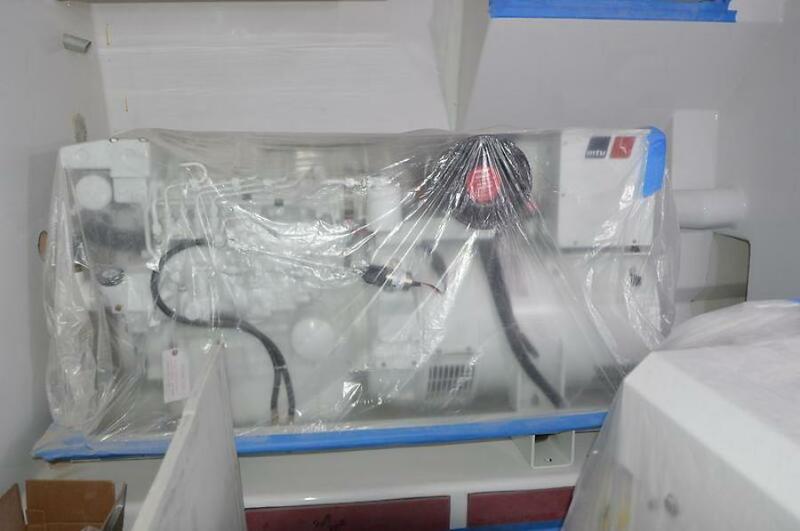 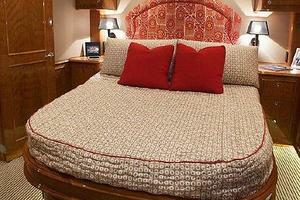 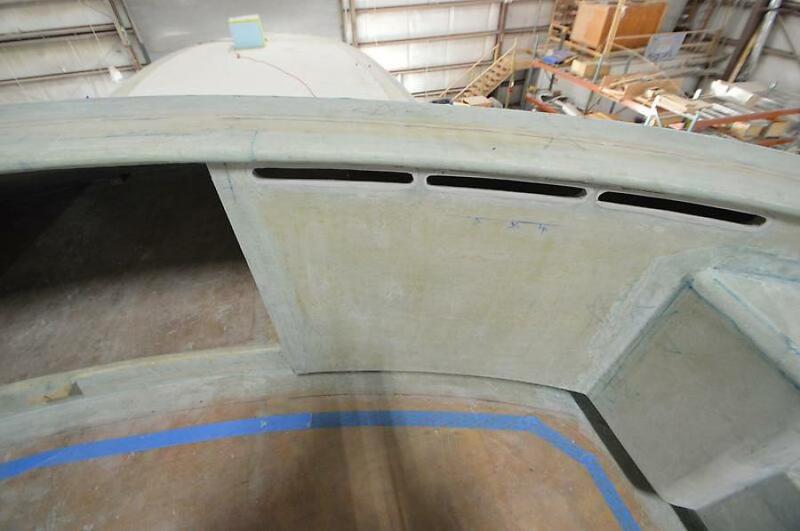 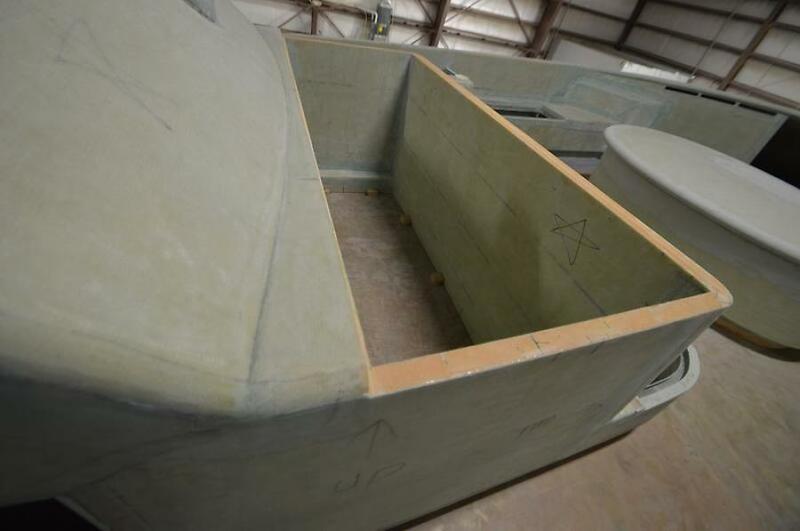 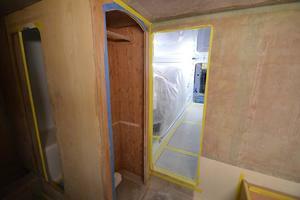 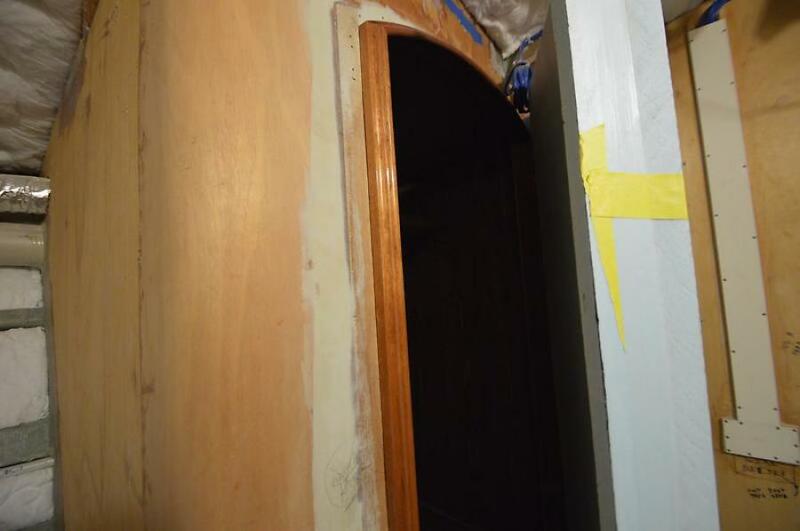 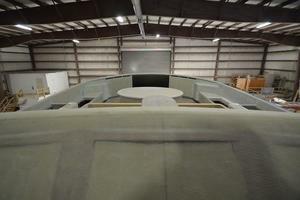 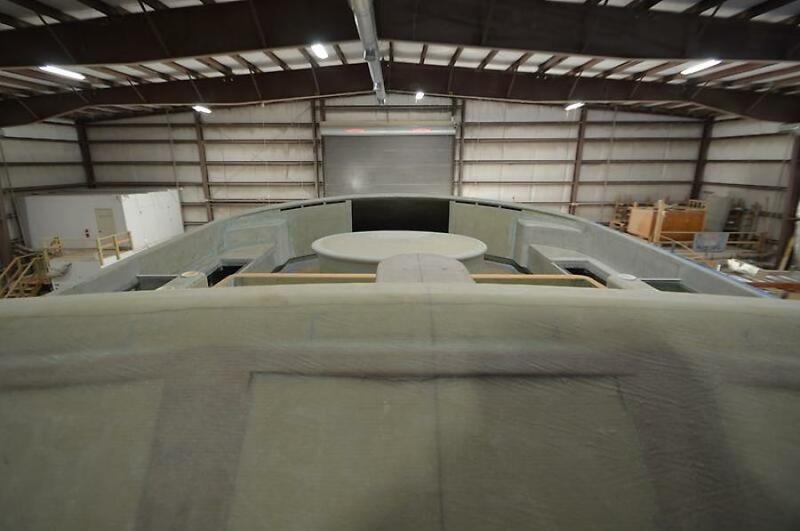 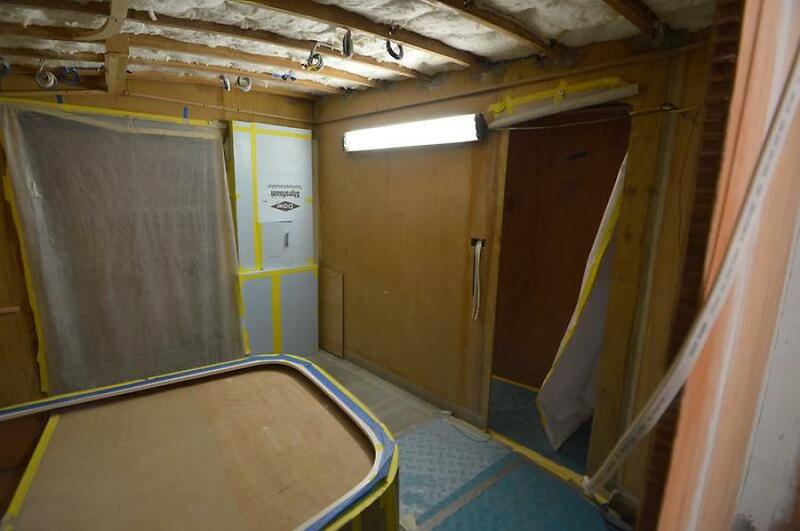 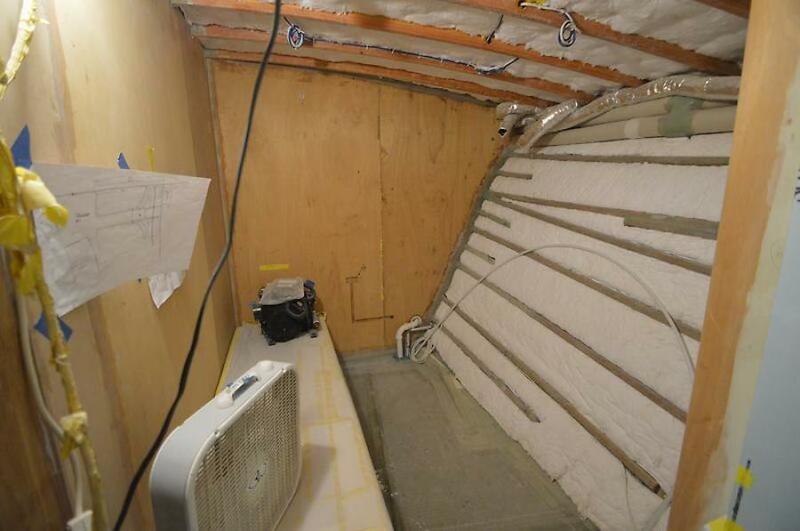 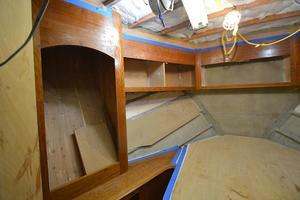 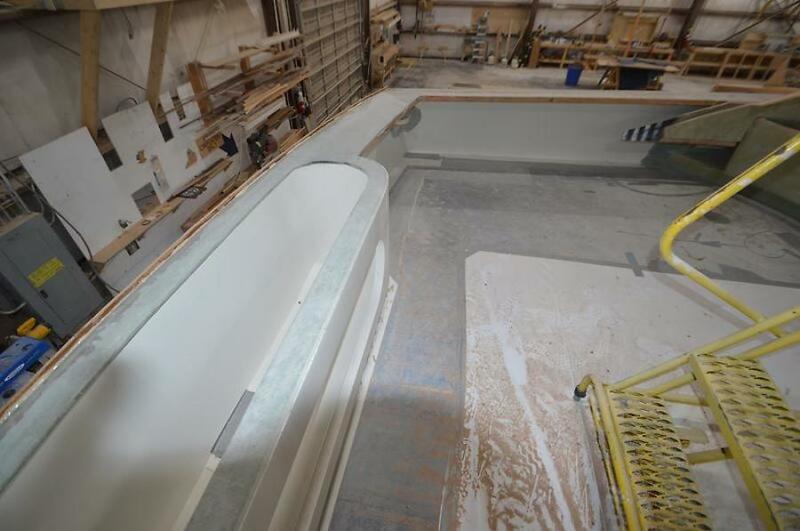 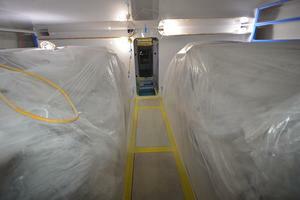 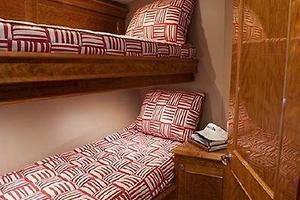 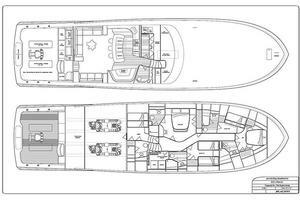 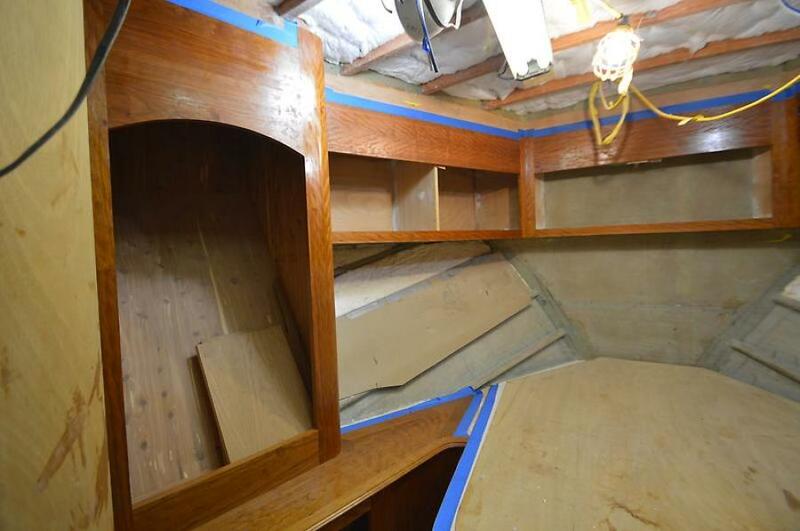 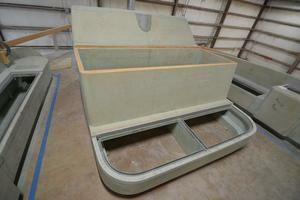 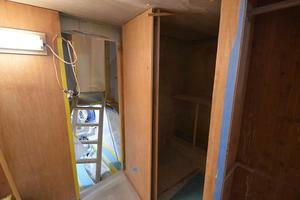 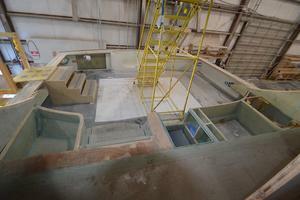 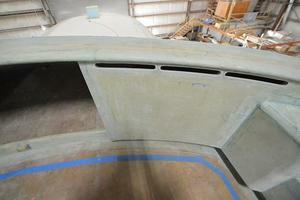 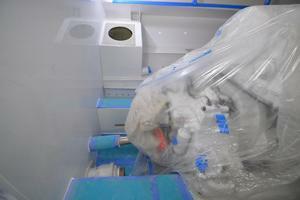 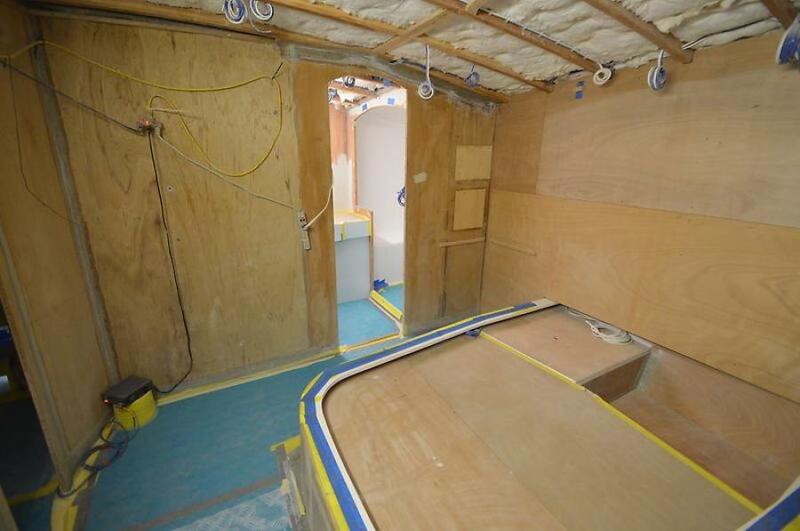 Hull #60 features a over/under berth just forward of the master stateroom. 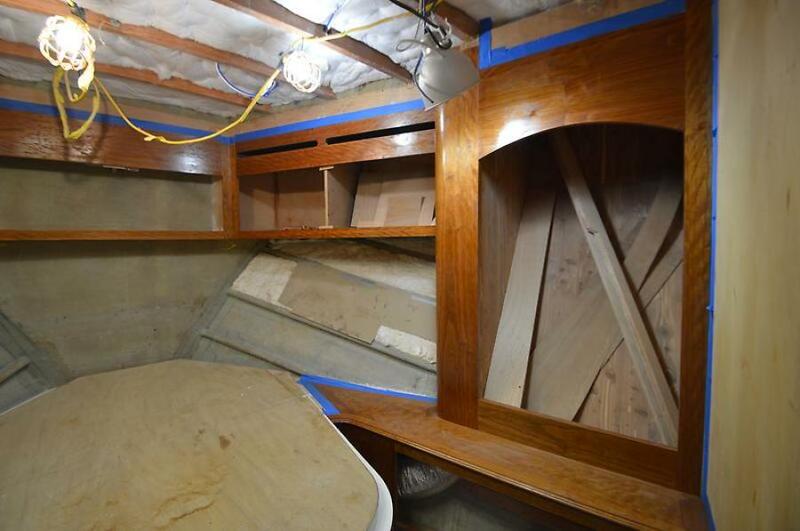 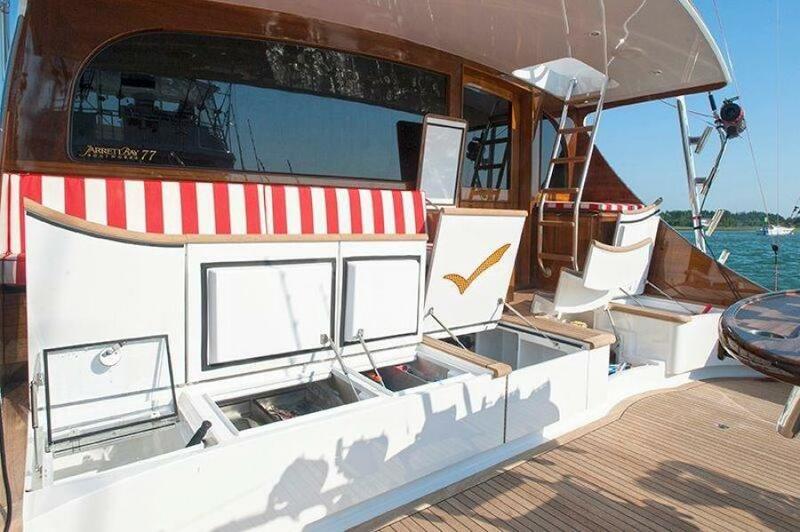 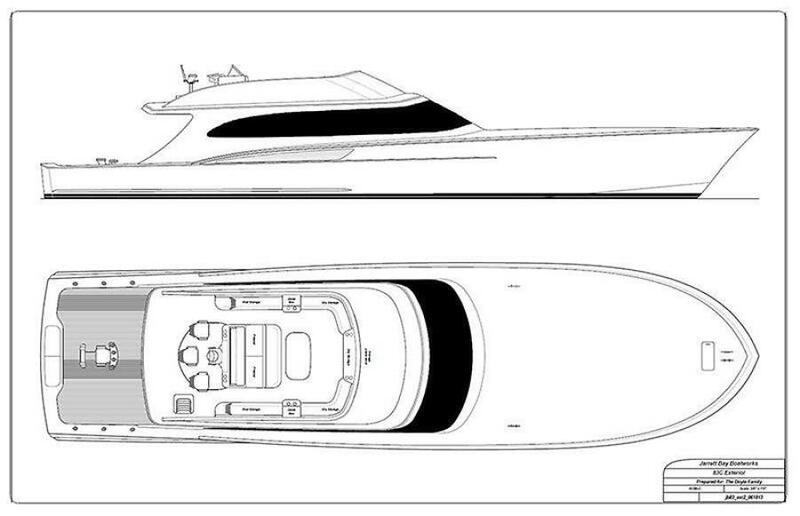 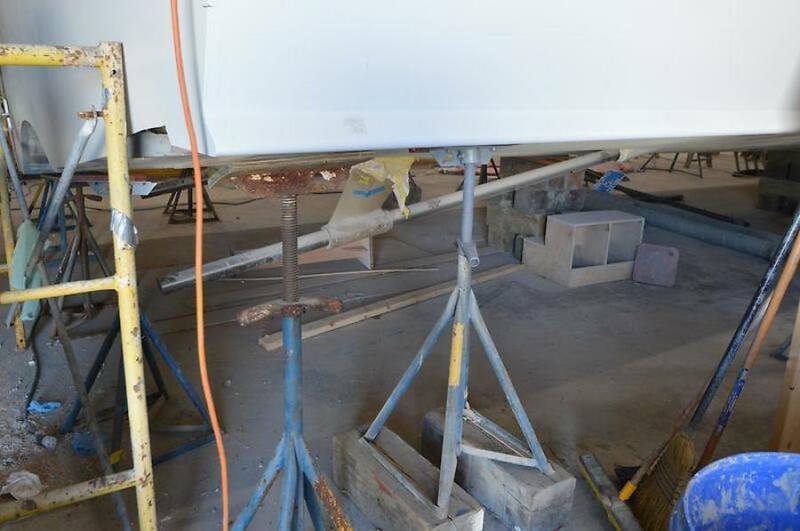 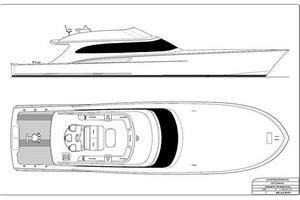 Hull #60 features twin side by side berths to starboard, just off the companionway with its own private head. 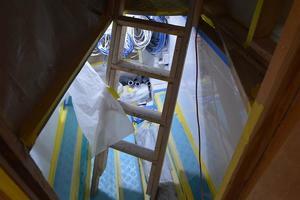 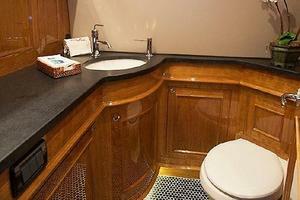 Hull #60 features a walk around queen berth in the bow stateroom with private access to its own head. Turning aft down the companionway and across the full beam of the vessel, you will find the crew quarters which features an over/under berth, access to the engine room, and a full head. 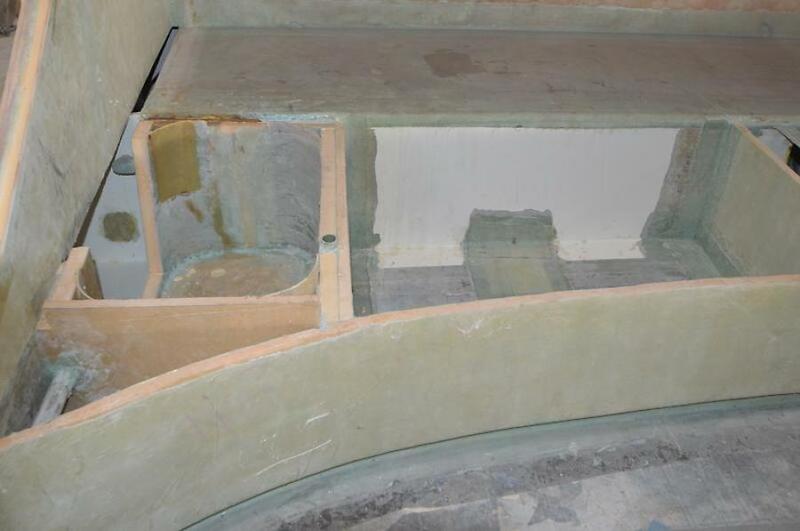 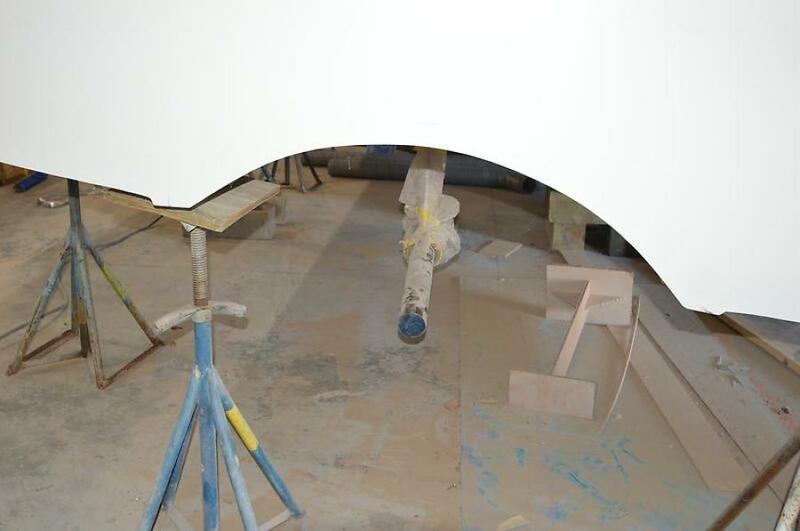 Hull #60's helm layout is possible at this stage.